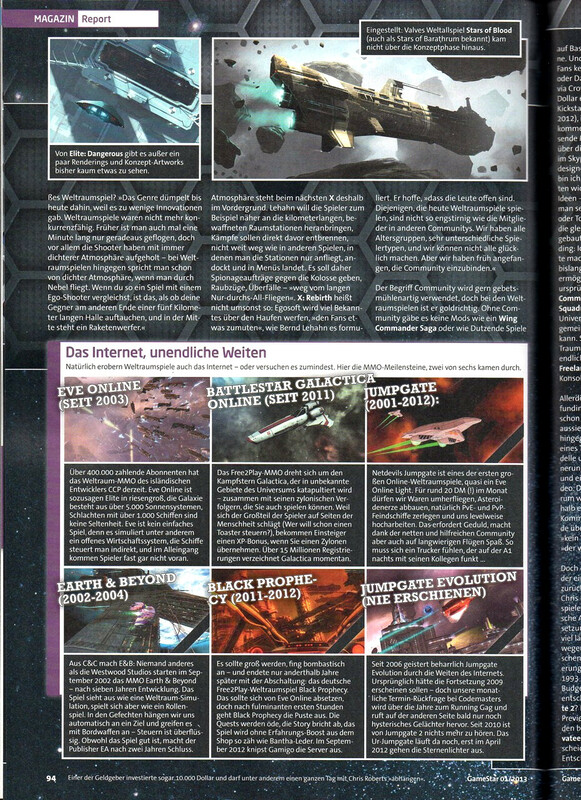 Thra`Khrom sent in a sample of the January 2013 issue of Gamestar magazine in Germany. 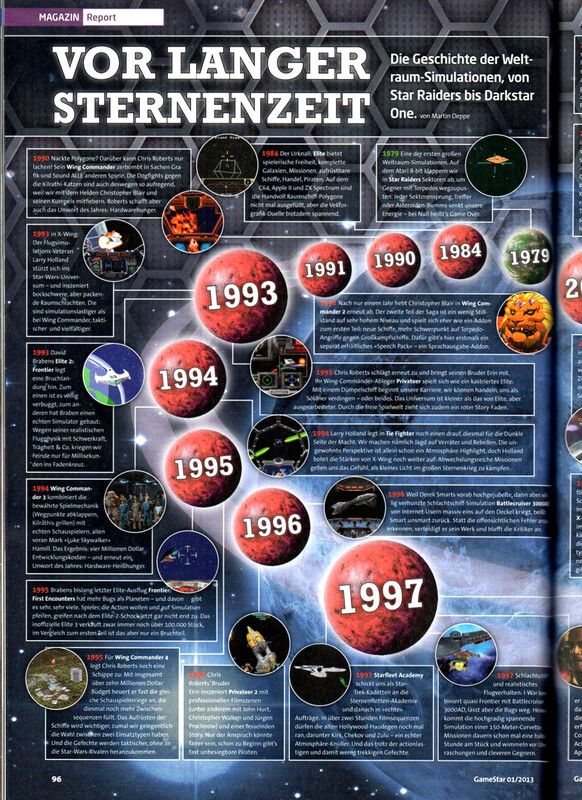 It's an elaborate seven-page article that covers some of the vast history of space sims. 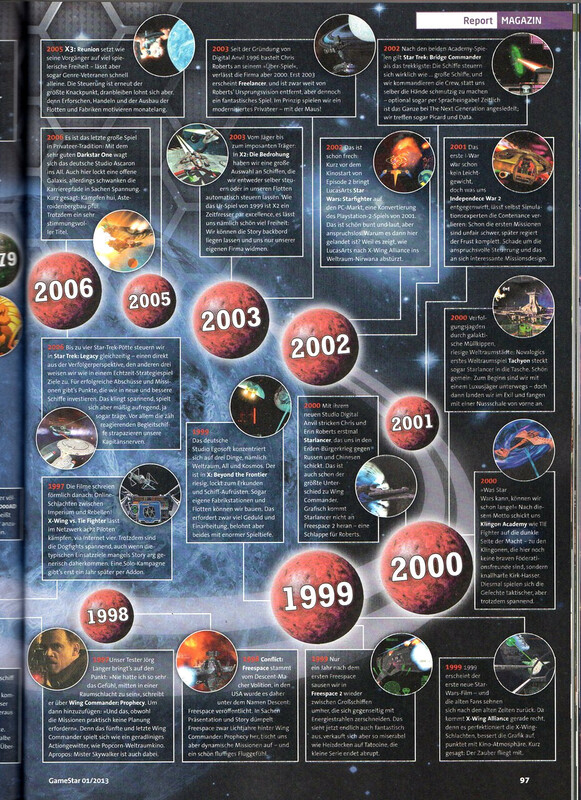 There's plenty of Wing Commander games profiled in the full spread timeline, and the last page is a mock board game called "Don't be mad, Roberts." 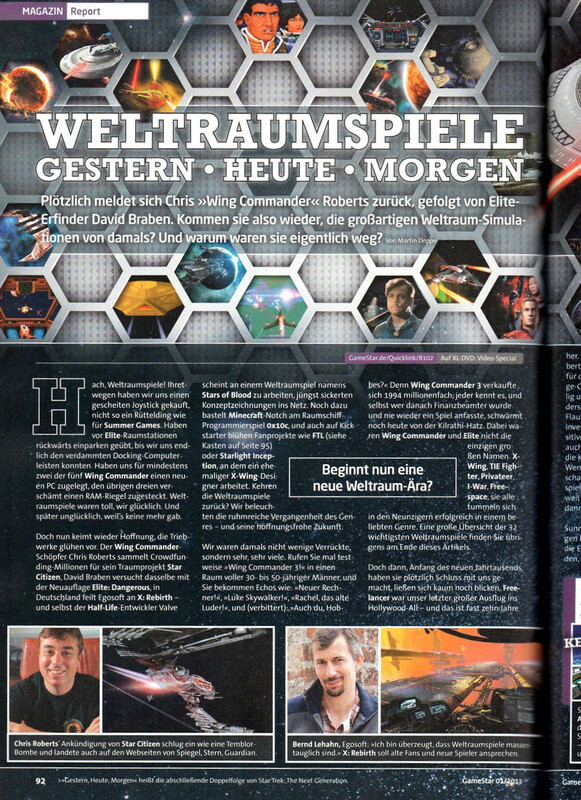 Even for non-German speakers, the article's worth a look to see all of the space sims arranged in such a fancy layout! This is Thra´Khrom, former player of the long dead German Kilrathi Empire RPG. 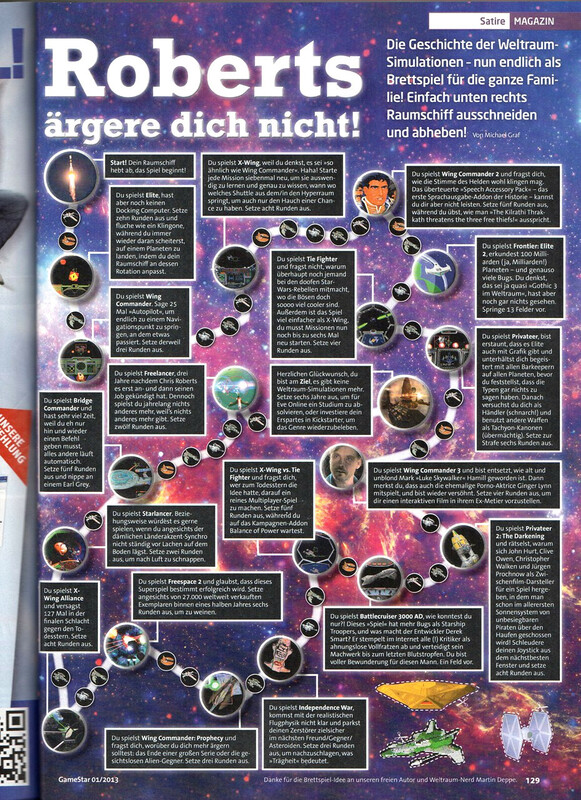 The German gaming magazine Gamestar contains a history of space combat sims including a time line and the magazine's funny page titled "Roberts ärgere dich nicht" (Don't be mad, Roberts): a "game" similar to snakes and ladders (though not really playable, I presume). 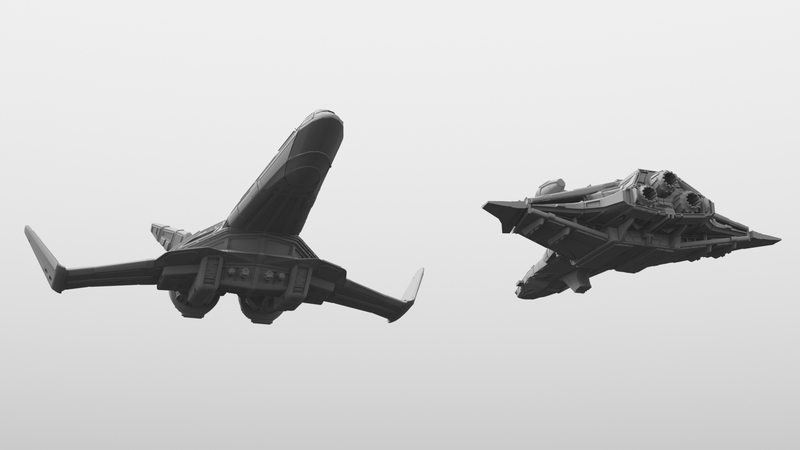 Here's a lineup of transport craft that have been created for the Enigma 2666 WC mod. From left to right, they're a Diligent, Dorkir, Lumbari and Drayman. They're presented alongside a Thunderbolt for size comparison in the first shot, and you can see how much larger the major capital ships are in the later images. 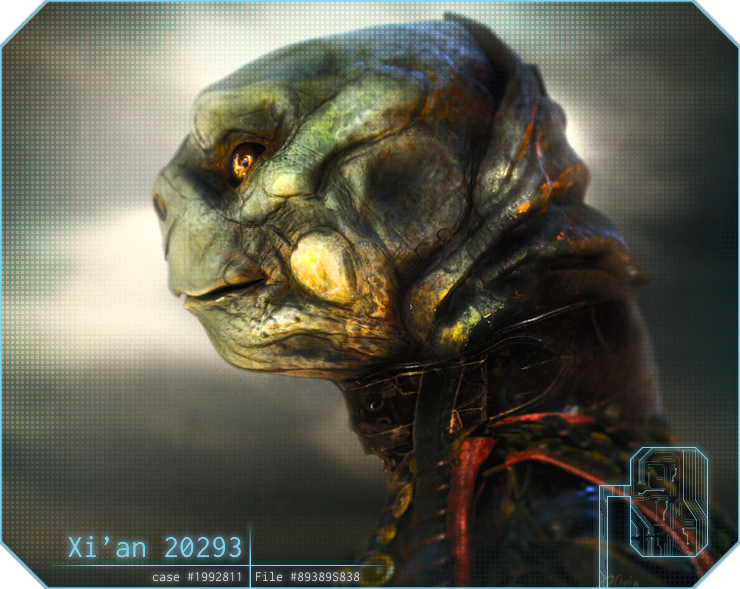 As this is a game is supposed to occur in the late '60s Enigma sector, there's also a Dorkathi in the mix as well. I have no Lumbari Model found, but what you think about this? Klavs has a few more physical ship models on the way, and these present some fearsome opposition to his mostly Confed lineup. 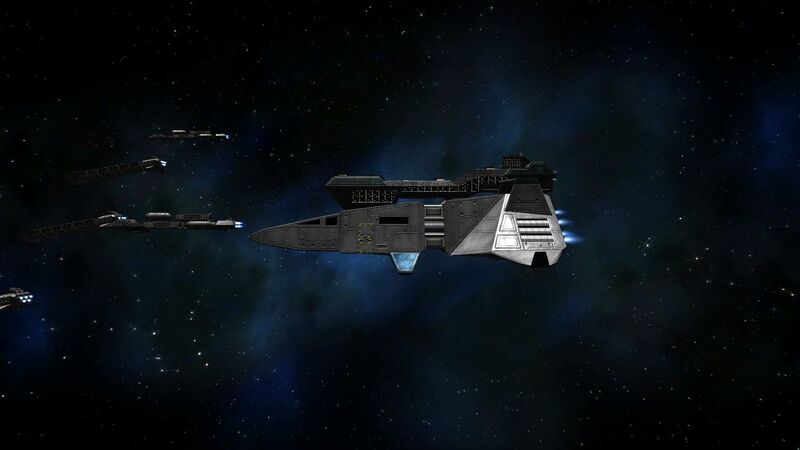 The Gratha and Jalthi are now in the design phase, and they look pretty imposing when compared with the workhorse Scimitar. Hopefully the cost of rapid prototyping continues to decline so that large versions of these ships become practical to make someday! That means I can afford to prototype a couple new ships for the holidays! Went with Michelle D's Gratha Gondola idea, and thanks to Howard Day for letting me use his Jalthi as the basis for this current monstrosity! GoodOldGames has updated its library to be compatible with Windows 8. 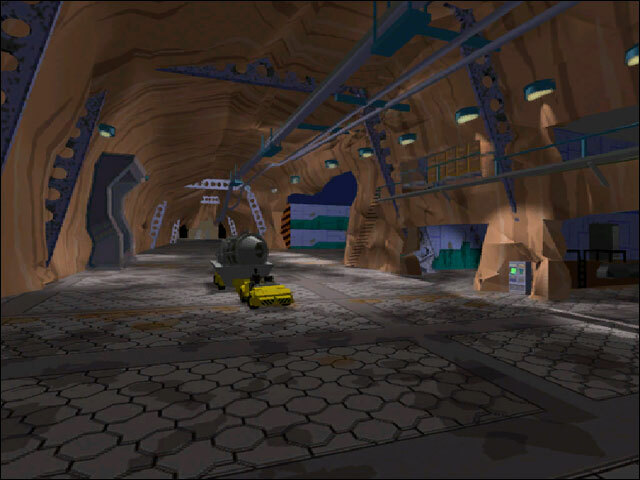 A small number of games incorporated programming tweaks to work with the new OS, but many games worked automatically and require no redownload to play. A total of 431 games out of 486 on the service now function, including all of the classic $5.99 Origin titles. Check out the banner graphics in our right sidebar for links to Wing Commander 1-4 and Privateer, and stay tuned for more GOG news in the future! We will be sharing development updates as they happen, and will also give all our backers a “Weekly” report. We also plan to bring a live webcast for our subscribers on a weekly basis, making this available to the rest of the community afterwards via our YouTube channel. Wingman, the Lamp and Sandi will all feature, as well as questions from the community about the game and interviews with various team members. 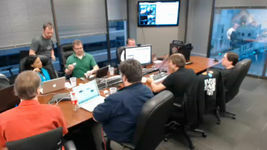 We will start this webcast once we moved into our new office space in Austin next month. Finally once all the Kickstarter Star Citizens are integrated, which will take a couple of weeks as we await final data from Kickstarter, we can bring up a “backer wall” and switch on things like Galactapedia, Engineering and the Holo-Viewer. This is going to be a fun project to watch! Avid Origin collector Pix has managed to successfully digitize the Wing Commander 4 trailer that was shown in movie theaters. The resulting video quality isn't perfect, but the resolution and clarity are much improved over the compressed 320x240 digital version that has been available until now. A medium sized player is embeded is below, but it's worth clicking out to YouTube for the full size clip so you can watch it in high definition! 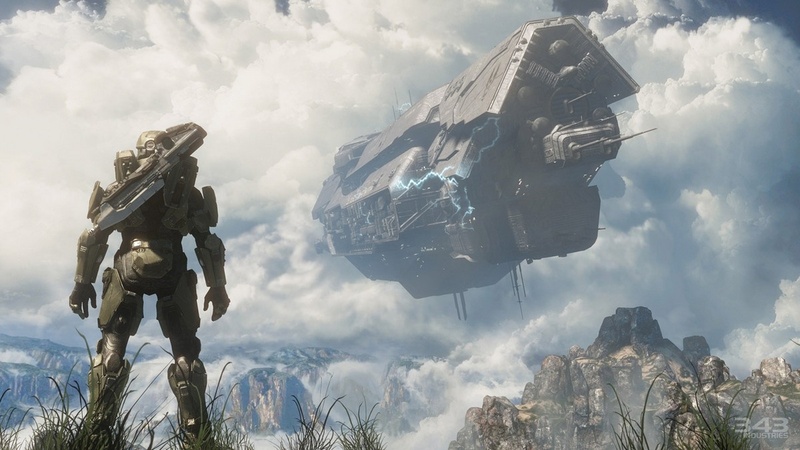 Numerous fans wrote in recently to let us know about the new All-TIME 100 Video Games list. Although these types of rankings are fairly common, TIME is obviously a significant publication, and they do a really good job of stretching back into the past for this lineup. Far too many "best of" lists are slanted towards the last few years, but the '80s and '90s easily rival the 2000s here. 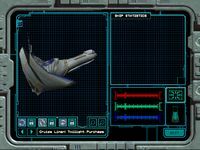 Wing Commander and Ultima Online both earned spots, and while there's nothing especially new or thought-provoking in any of the game write-ups, it's a pretty good assortment of games that deserve to be recognized. There's also a little bit of a competitive element! Fans can vote on whether each game should be ranked on the list or not, and the results are tallied here. 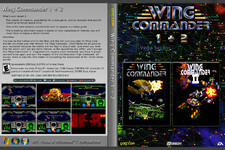 Wing Commander is in about 65th place - help change that here! Alternate headline if WC hadn't made the list: Better Luck Next TIME! 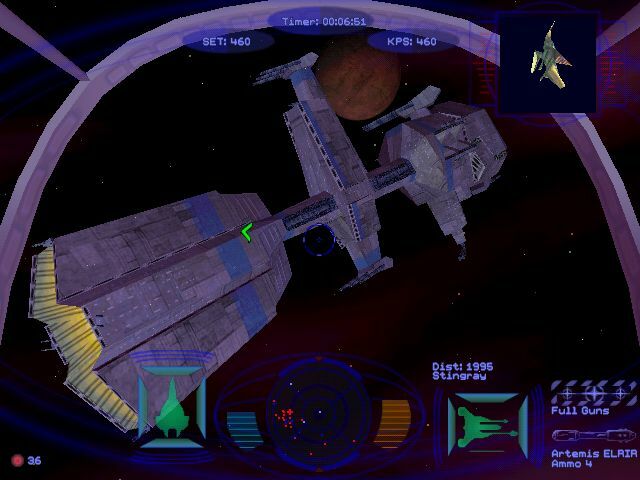 Wing Commander was a revelation in 1990 for PC space-sim buffs looking for a little less Star Trek and a little more Star Wars from the genre. 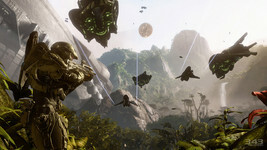 The brainchild of Origin designer Chris Roberts, it married seat-of-your-pants space-based dogfighting with a movie-like story pitting a “Terran Confederation” of humans against a feline warrior-race called the Kilrathi. 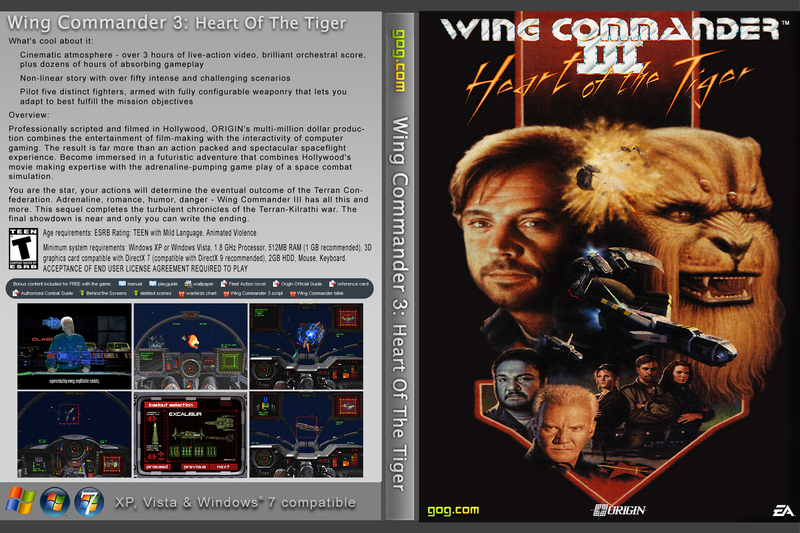 Wielding a sophisticated 3D engine, Wing Commander placed players aboard a military battleship, the TCS Tiger Claw, then allowed them to rank up a blue-haired pilot by doing well during high octane fighter-based scenarios against tactically uncanny A.I. opponents. The game was notable at the time for its use of scalable bitmaps, a technique that offered unprecedented detail, especially when tailing an enemy close-up. Roberts topped this off with a dynamic campaign that rewarded strong performance: Do well, and you’d eventually take the battle to the heart of Kilrathi High Command, but do poorly, and you’d find yourself increasingly on the defensive, up to the point that your battleship would retreat. 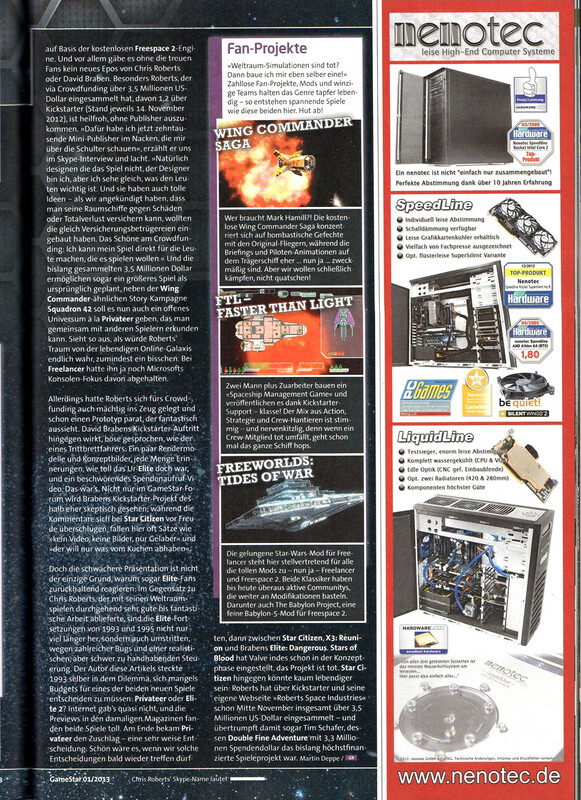 The Holiday 2012 issue of PC Gamer has posted a flattering preview of Chris Roberts' new space sim. 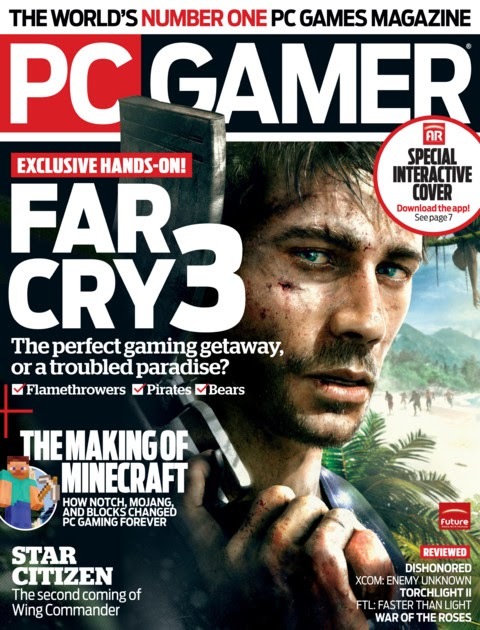 The cover includes the tagline "Star Citizen - The second coming of Wing Commander." We'll see! LOAF's holding a copy below. 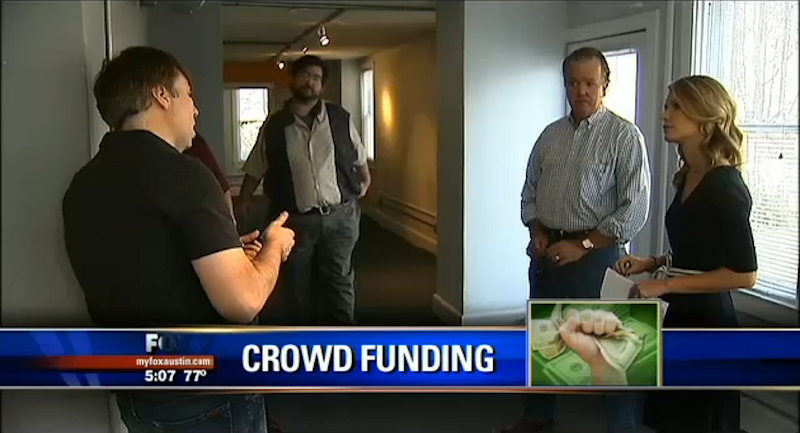 You can also catch LOAF standing in the background of a Fox 7 Austin news video on the game. 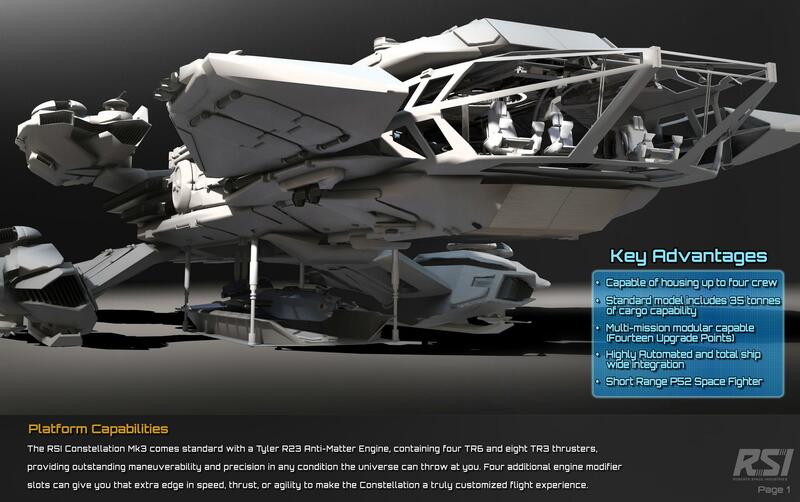 In the five days since the Roberts Space Industries crowdfunding drive ended, existing RSI members have added an additional $500,000 to the campaign's total, which now stands at $6,750,000. Fans that already have accounts can continue to contribute through Sunday, November 25, at the original rates. More expensive tiers with fewer bonuses go live next week. This is a quick reminder to Wingnuts with a microphone. Plywood Fiend's Wing Commander audio story is taking volunteer voice actors through tomorrow, November 25. Volunteer or find out more at the CIC Forums here. To that end I’ve written a short script as a kind of prototype to gauge whether or not the community would be interested in the like. If anyone is interested, then there are places available for voice actors, with four primary roles and four additional minor roles with just a handful of lines. 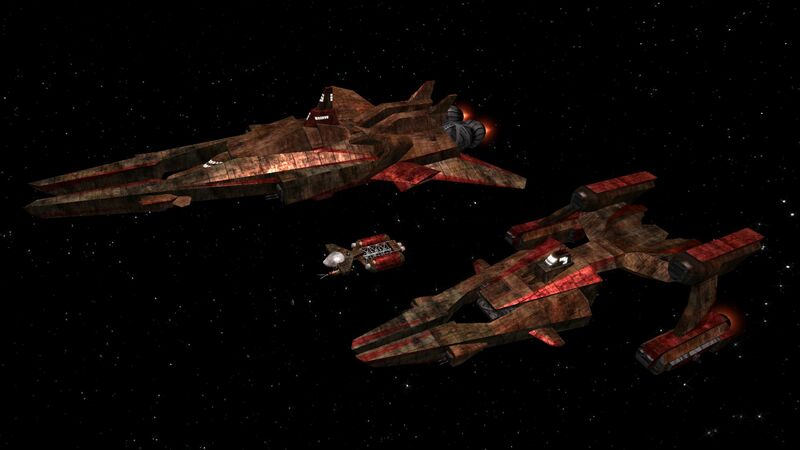 Plot Synopsis: A backwater system guarded by two outdated Confed destroyers, the TCS Nottingham and the TCS Apache comes under attack by Kilrathi raiders consisting of a single modern Kilrathi destroyer plus escorts. The Apache is quickly destroyed, and pilots from the Nottingham fight a losing battle for as long as they can, slowly getting picked off, before the Nottingham rams the Kilrathi destroyer, saving the system. 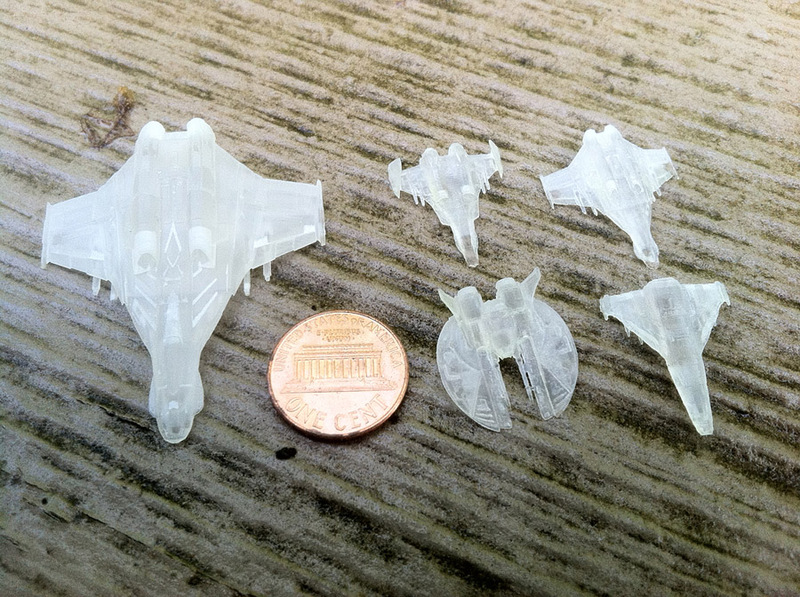 bsmith tipped us off about the Black Friday sale at the Shapeways 3D printing store. 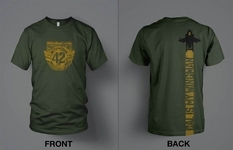 A number of Wing Commander-inspired designs are currently available at the site. Klavs prices these "at cost," but since this rapid prototyping technology is new, some fans consider the going rates pricey. Wingnuts who act fast can get 20% off of orders $75 or more with promo code tdzmu. See what models are available here. Happy Thanksgiving to our American wingnuts! We have many things to be thankful for this year as fans. It's only going to keep getting better! The CIC staff is extremely thankful for having the best community in the world. All of you are great and we appreciate everything you do. Now go have some turkey, Pilgrims! No matter where you're from, everyone can celebrate today's pilgrim-themed holiday by checking out Wing Commander Pilgrim Truth. 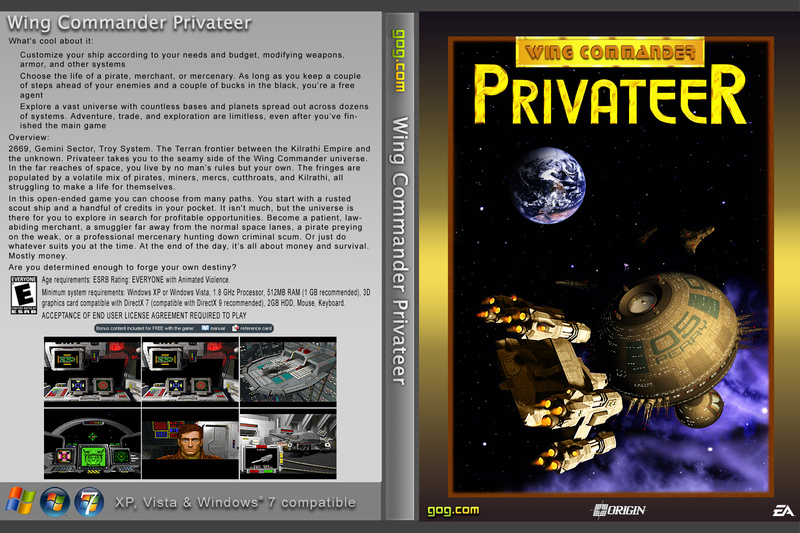 Author Peter Telep was originally charged with writing three novels to run along with the Wing Commander Movie's release. 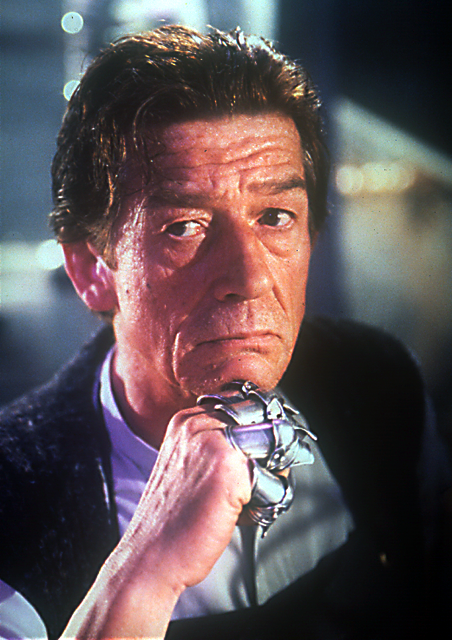 The Movie Novelization and its sequel, Pilgrim Stars, were both released in 1999, but the conclusion to this trilogy was cancelled by HarperCollins prior to publication. Fortunately, the book finally became available to Wingnuts in 2011 after more than a decade of effort to get it to see the light of day. It can be read online here at the CIC or downloaded as a mobi (Kindle) or epub (other)! Thanks to EA and Peter Telep for making this possible - and NinjaLA and Starman for working out the electronic formats! 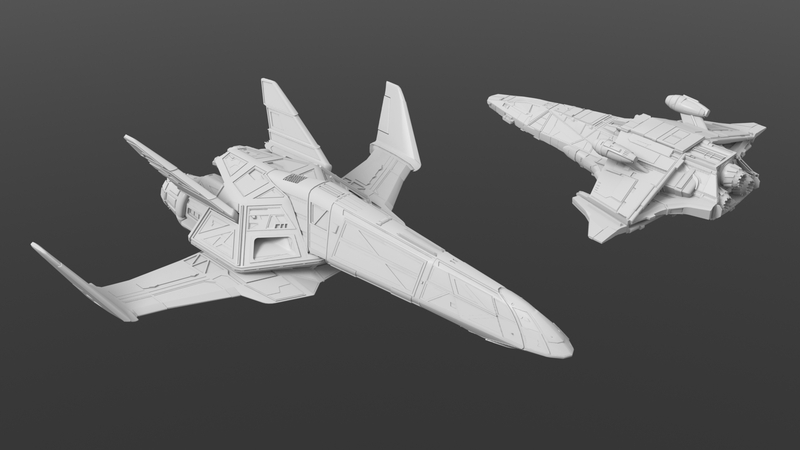 Our recent stories have been heavily focused on Star Citizen as Chris Roberts' crowdfunding campaign wound down, but there's plenty more Wing Commander news on the horizon! As we transition back into more of that, here's a neat video that nicely combines the two. Thomas Pasligh has taken footage from the original Squadron 42 announcement trailer and paired familiar scenes with classic Wing Commander music. The result is pretty sweet! 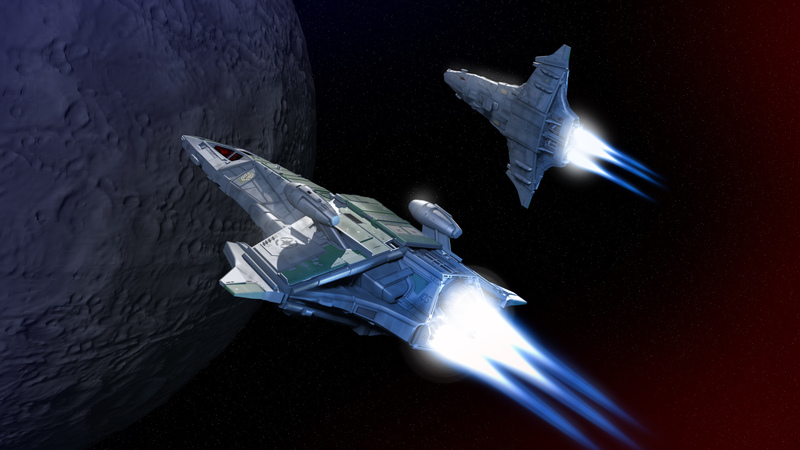 This is the beloved Wing Commander 1 soundtrack with some Star Citizen footage. The media whirlwind surrounding Wing Commander creator Chris Roberts' crowdfunding campaign has continued to take the gaming and mainstream press by storm. It even got a full writeup in Forbes. A simple Google search will bring up dozens or hundreds of related articles, but a couple caught our attention! You're probably best known for creating the Wing Commander series. What was the inspiration behind the first game? The biggest inspiration is Star Wars, of course. What teenager didn't leave the theater in 1977 and dream about flying his own X-Wing? 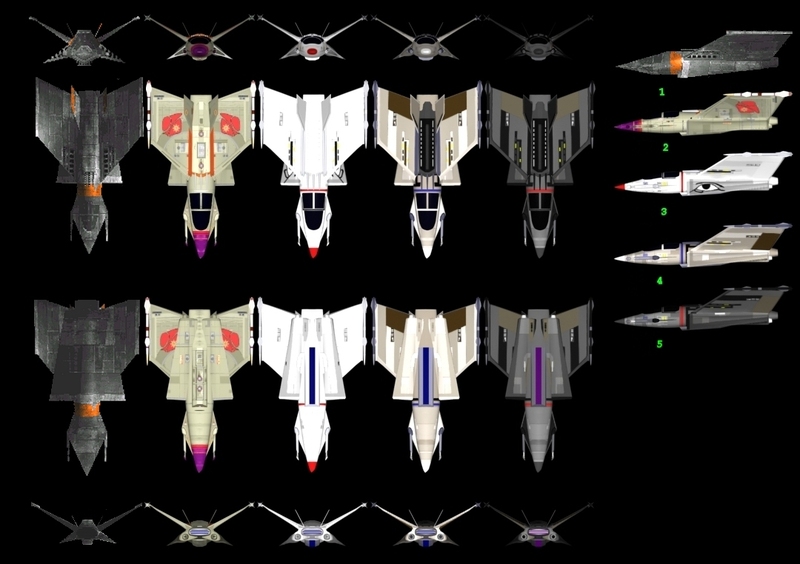 So Wing Commander was very much the culmination of that dream. Not just the technical aspects of flying a starfighter, but that idea of making you the hero, putting you in the 'movie.' My design philsophy has always been to trend towards a visceral experience, and Wing Commander taught us so much about how little things like making the hand move with you on the joystick or actually showing damage to your cockpit as you fight are incredibly important. 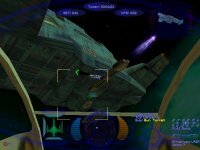 Of course, it's not just Star Wars... Wing Commander takes a lot from the same classic World War II air combat films Lucas based his epic on, and in many ways it does so more directly. You're in an aircraft carrier in space and you're fighting an alien empire that stands in for Japan in this island hopping campaign across the stars. I like to build my games' stories on elements from history, which I think you'll see again in Star Citizen. 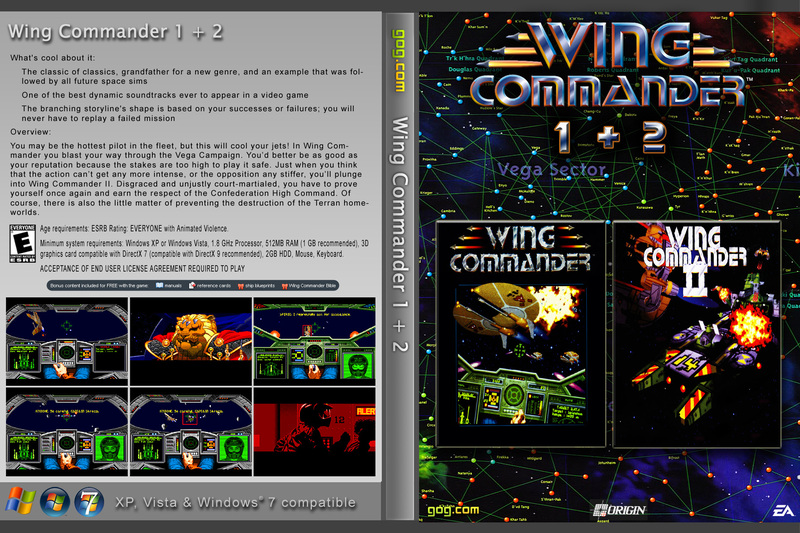 Will the story of Wing Commander V ever be concluded? Will we ever see a sequel for Freelander or Starlancer as well? Wing Commander Prophecy wasn't me. 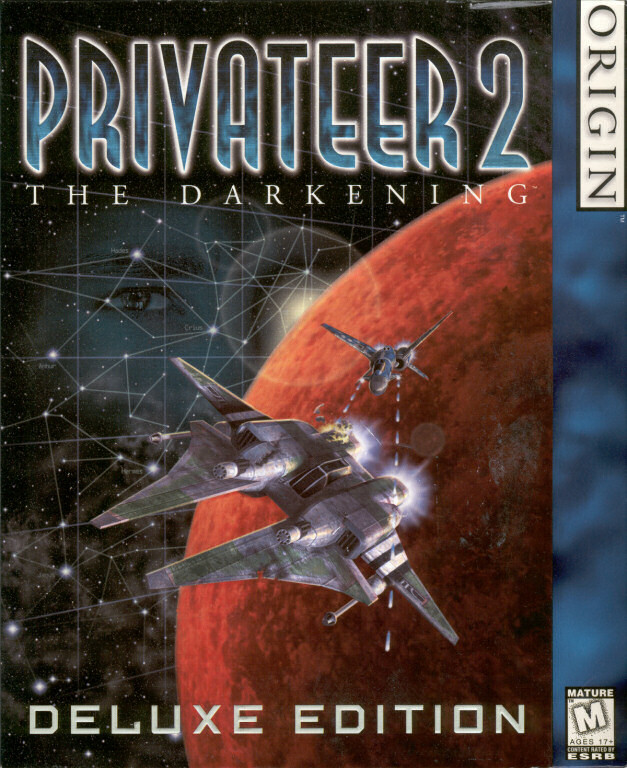 I thought the team did a fantastic job carrying on the legacy for that one, but my involvement in the game series ended after Wing Commander IV. So, I've never been especially invested in the story they set up, with the new enemy replacing the Kilrathi. I'd love to make another Wing Commander – and I spent a lot time thinking what I would do story wise - but I’m only going to do that on my own terms. I created and used to own the IP. I’m only willing to go back if I can be assured of guiding it going forward. 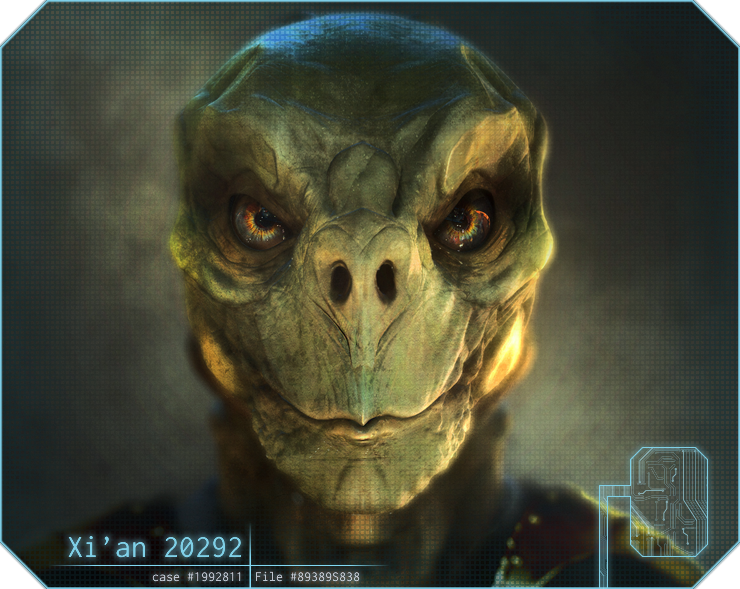 Can we expect any kind of Easter eggs or any sort references to your earlier games in Star Citizen? The major print newspaper Austin American-Statesman posted a nice article on the conclusion of the campaign and included pictures from the office during the team's final celebration. Check out LOAF's arm toasting in from the left! 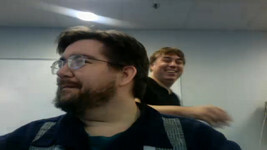 Roberts — who flew in from Los Angeles — and a small group of team members and backers were set up Monday in the downtown offices of Austin game studio LightBox Interactive, where they completed a 24-hour web-streamed celebratory countdown to the funding announcement, which they toasted with champagne in plastic cups, broadcast live to the gaming world. “We’re going to make the best damn game ever for you guys!” Roberts told the Internet audience as the clock struck 1 p.m.
As eye-popping as Star Citizen's $6.2 million tally is, the single most amazing thing of the week might just be that Kotaku had something nice to say! 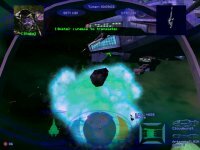 "Wing Commander’s Spiritual Sequel Sets a New $5.7 Million Video Game Crowdfunding Record:"
Now, Roberts has the benefits of being synonymous with Wing Commander, one of gaming's true cultural phenomenon. But he's also making an ambitious new game on a platform that's taken for granted in a genre that's supposed to be dead and forgotten. 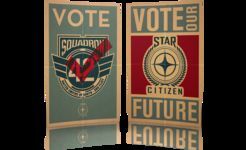 And when news of Star Citizen first surfaced, it was impossible not to gawp at the huge sum Roberts was stumping for. So the fact that $2 million goal was eclipsed by a margin of more than double is a pretty impressive accomplishment. Hit the Comments link below if there are any other neat articles that you'd like to point out! Chris Roberts and the RSI team has posted a recap of their experiences over the last couple days. They've also created The Pledge, a document that outlines their mission statement and commitment for the work ahead. And in order to accomodate anyone who experienced server glitches over the crazy weekend, a "grace period" has been extended through this weekend to allow RSI members to contribute or upgrade at the original crowdfund rates. Many of the preorder bonuses will go away and various pricing tiers will increase starting Monday, November 26. In the 36 hours since the official end of the campaign, an additional $200,000 has come in, and the project is now at more than $6,450,000. Your support over the past month has been incredible. You’ve done your part, and we will now do our utmost to live up to your expectations. We will build you the game you are dreaming about. Breaking: Roberts Space Industries Hits $6.23 Million! The official end to the RSI crowd funding campaign hit at 1 PM Central Time this afternoon, and the numbers are in...credible! 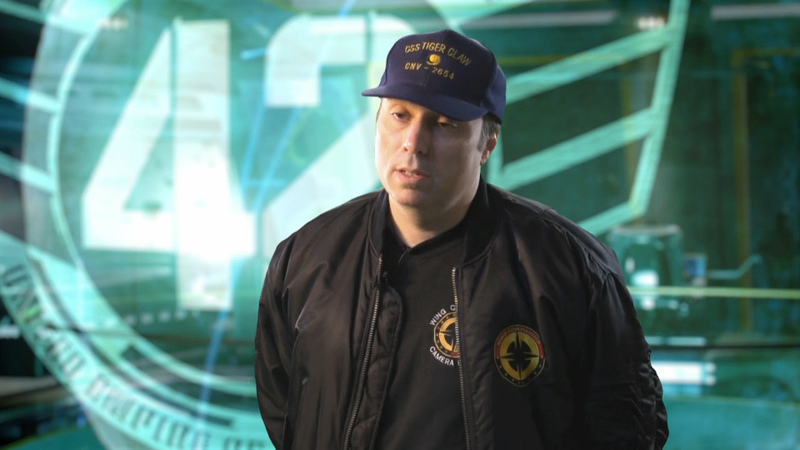 Chris Roberts has pulled in more than $2.1 million via Kickstarter and more than $4.1 million at the RSI site for a whopping $6.2 million total. This puts the project more than $2 million beyond the next most supported video game in history. The KS tally is now locked, although existing contributors will be allowed to make certain upgrades over the next year at the RSI site. The conclusion capped an amazing weekend that brought in some $2.5 million alone. 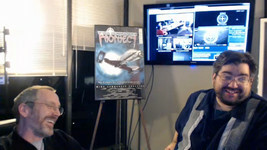 It was accelerated by a fun-filled webcast with a rotating lineup of Origin/Wing Commander guests and Q&As direct with the people behind Star Citizen. Congrats Cloud Imperium team! RSI Total Breaks $5.7 Million And Continues To Climb! To say this weekend has been exciting for Star Citizen is an understatement. The pledge total hit $3.5 million last Wednesday. 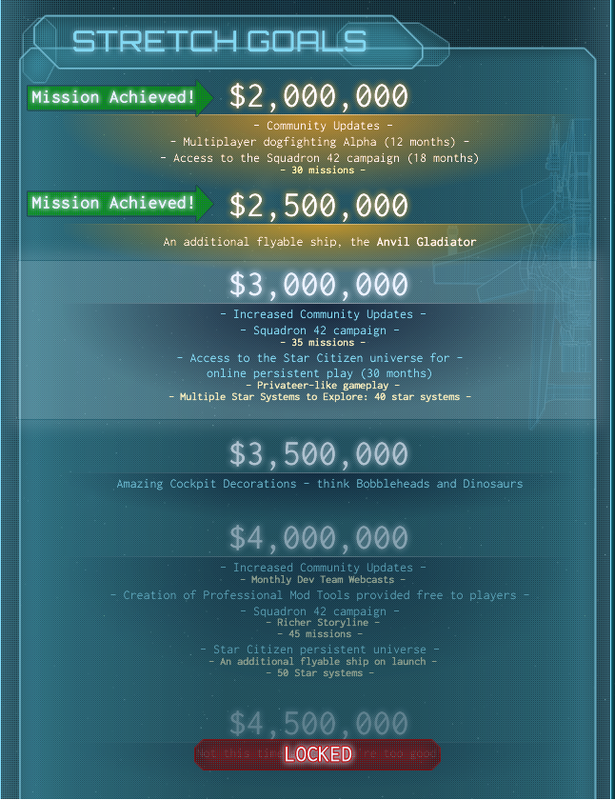 Since then, over $2.2 million dollars was pledged to Star Citizen! 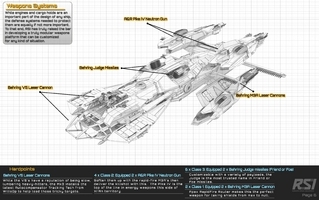 The big goal behind the $5.5 million mark was the Bengal class carrier. 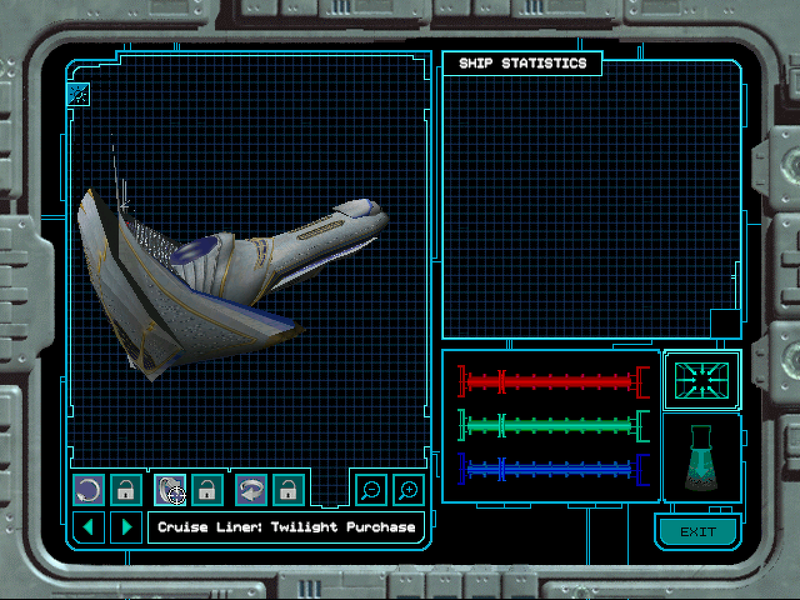 The ship will now be unlocked in the game. One final goal remains for Star Citizen, $6 million. What will hitting $6 million do? Six million was what it would take us to build the game we were imagining with all the bells and whistles we wanted included. Well, here we are with just over eight hours to go and that impossible goal where everything is unlocked is suddenly in sight. At six million you’ll launch the game with 100 systems, a full orchestral score and a free copy of the first Squadron 42 mission disk, Behind Enemy Lines. There are only a few hours remaining to pledge or upgrade! Be sure to stop by the RSI site or Kickstarter site and aid the cause! 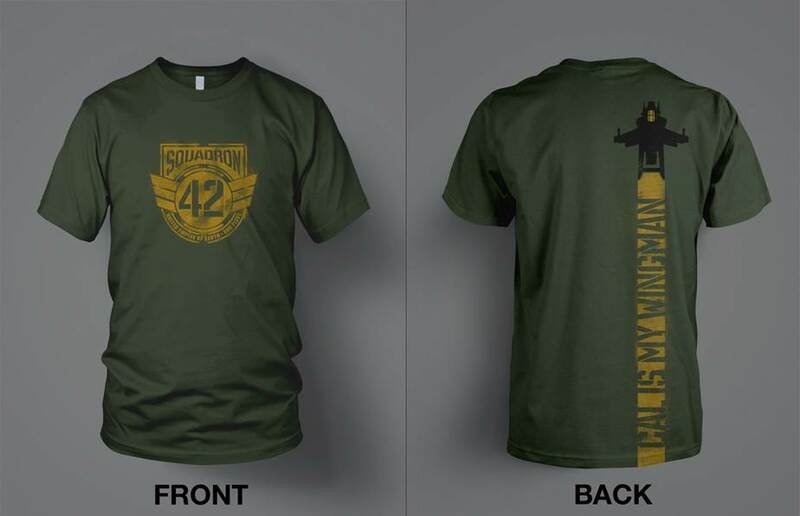 Those Star Citizen and Squadron 42 t-shirts look pretty good! Why not get one or both for yourself! Breaking: Roberts Space Industries Webcast Live! 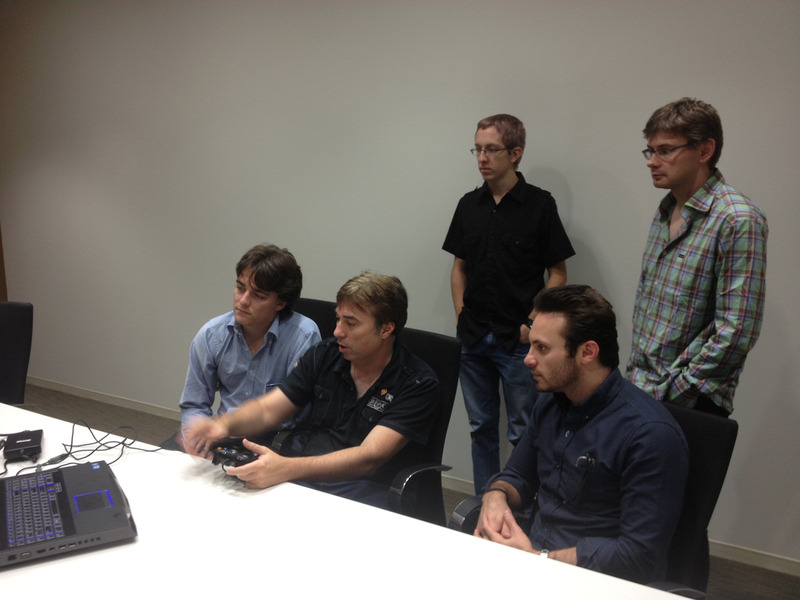 Chris Roberts and the Cloud Imperium Games team are now streaming live from their temporary office in Austin, Texas! Things are just getting set up as we type this, and their website is getting hit by heavy traffic. Below are some of the webcam links in case you are unable to access elsewhere. Keep checking back in case links are updated. Since the official RSI chatroom is filled to capacity (250 people! 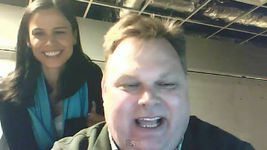 ), you can also follow and discuss the event live at irc.wcnews.com #Wingnut. 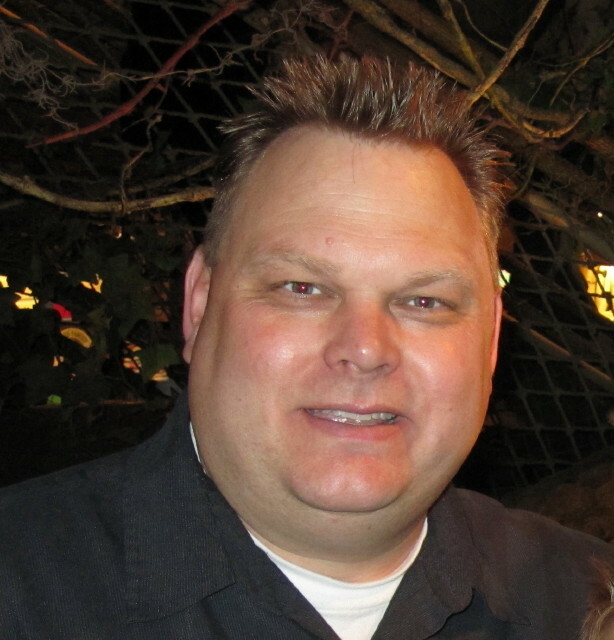 Update, 5 PM Central Time: Famous WC3/4 ship designer Chris Douglas is on the webcast now! 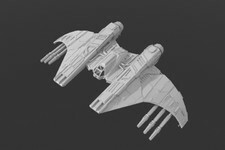 Update, 6 PM Central Time:: Origin/Digital Anvil art designer Sergio Rosas has joined the feed! 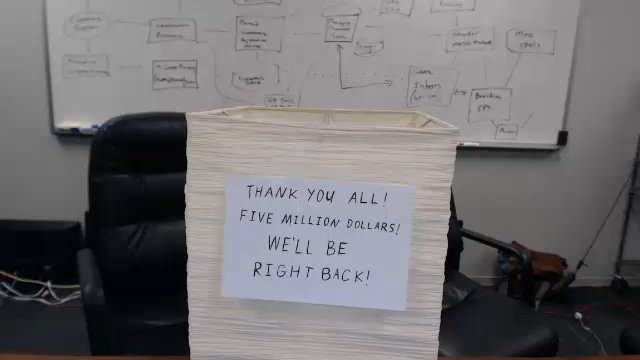 Update, 7 PM Central Time:: $5 million! Dinner break. Update, 12 AM Central Time:: Former Origin general manager Fred Schmidt is on the cam. 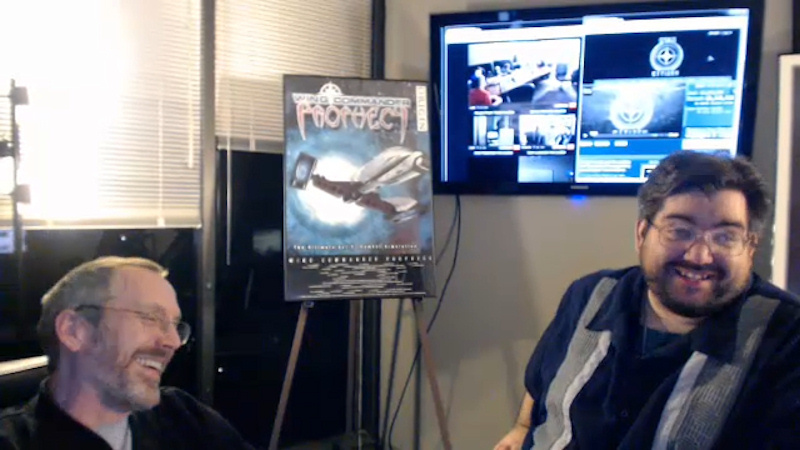 Update, 1 AM Central Time:: WC Prophecy lead designer Billy Cain is being interviewed by LOAF! Update, 9 AM Central Time:: Origin founder Richard Garriott and former director of product development Dallas Snell are both about the be interviewed! In case the RSI website continues to struggle, you can get information via their Facebook and Twitter pages. If a similar event were to affect the CIC website, we also have Facebook and Twitter feeds to stay in contact with everyone! 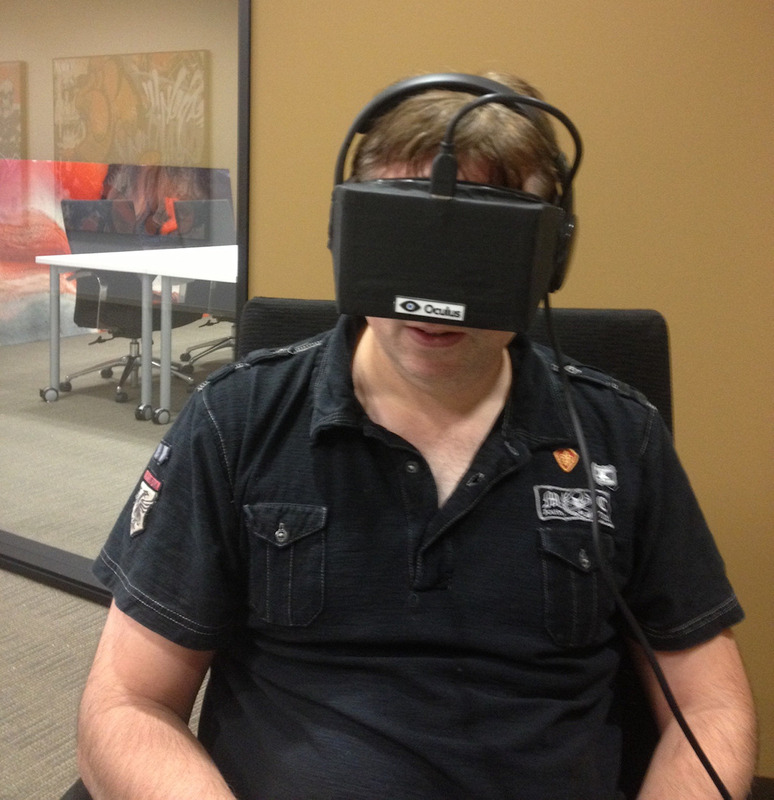 RSI has also posted shots from Chris Roberts' recent visit to the Oculus Rift studios. Mr. Roberts is a big fan of technology like this and plans to incorporate it into his new space sim! I thought it would be fun to share a few photos from my trip down to see Oculus. As you know I'm a big believer in VR and a supporter of the Rift, having personally backed it when it first was rolled out. 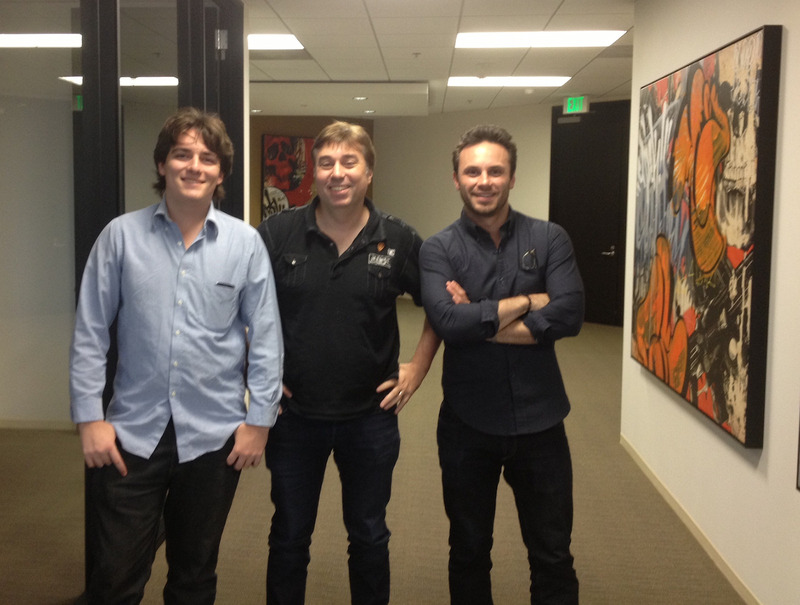 So it was a lot of fun to visit Palmer Luckey (founder) and Brendan Iribe (CEO, ex Scaleform co-founder & CEO) and the rest of the Oculus team down in Irvine, CA (which is just under an hour drive from my place in Los Angeles). As cool as Doom 3 was, it's not going to compare to Star Citizen / Squadron 42 as we're pretty much the perfect kind of game for the Oculus. Sitting in chair looking around, is exactly what you do in a cockpit, so the Rift is just going to feel natural. And as Star Citizen already works in stereoscopic 3D right now there is almost no extra work needed to support the Rift. And who doesn't want to be sitting in their cockpit, whipping their head around to track their target, pulling back on the joystick to drop in behind their next target? Money continues to pour into Chris Roberts' crowdfunding campaign as it enters its final 48 hour run. More than $250,000 has been raised in just the last 18 hours, which has pushed the project into unprecedented territory. The Star Citizen Kickstarter will reach $1.5 million shortly, and the combined total at Roberts Space Industries will soon pass $4.3 million. Details have been released on how the contribution drive will end. From a temporary headquarters in Austin, Texas, a 24-hour livestream will follow Chris Roberts and team through the final hours. There will be additional Origin and Wing Commander guests taking part as well, so tune in! 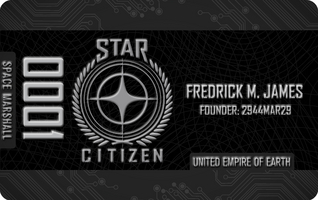 BREAKING: Star Citizen Raises $4 Million! Moments ago the Star Citizen pledge total broke $4 million. The last few days have seen donations pour in. 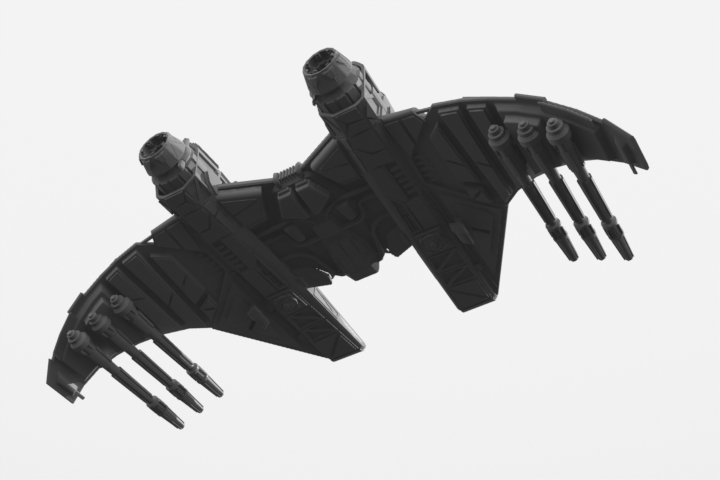 Hitting $4 million unlocks the Chronos System and a new ship, the Drake Cutlass. Read on to see the details of our final $100K Challenge star system, Chronos… it’s an important one and you’ll be glad you unlocked it when you learn more about the Star Citizen universe! Our next target is $4.5 million, at which you will unlock 60 star systems and the largest playable ship will be massive armored cruisers! In addition, getting to $4.5 million combined will unlock all of the remaining Kickstarter goals. 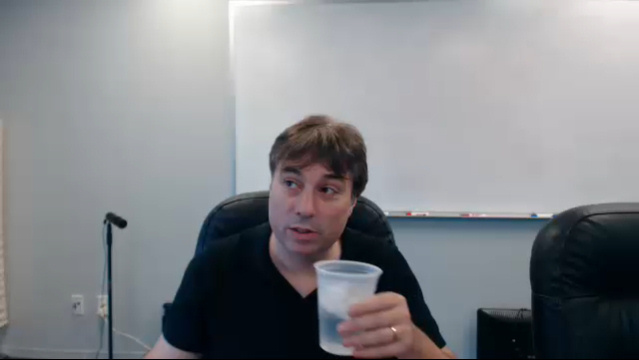 If we can make it to $5 million, there’ll be a companion app, even more community updates and webcasts and a monthly town hall meeting with Chris Roberts! Squadron 42 will add celebrity voice actors and have a total of fifty missions… and Star Citizen will match the original Privateer and feature 70 star systems! 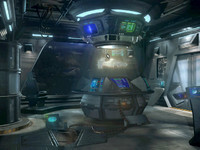 Finally, a new base type will be added: alien derelicts. 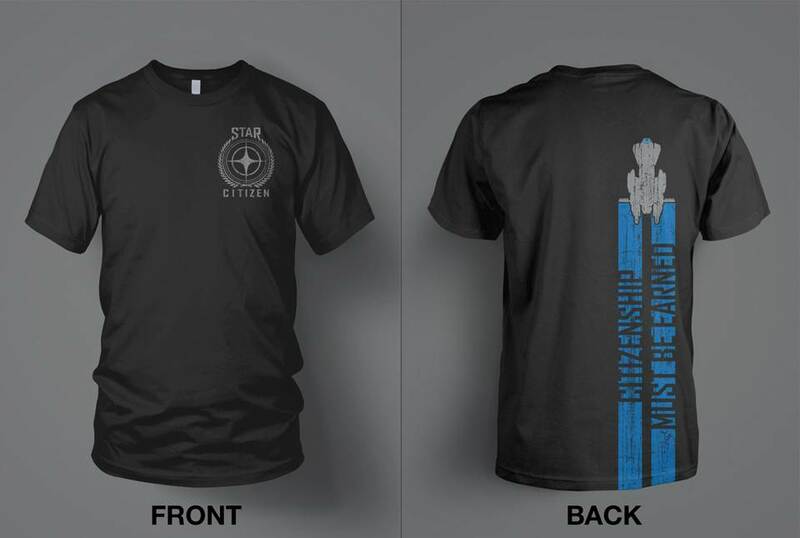 Donations have been pouring into Star Citizen through the main RSI page and Kickstarter. The total yesterday passed $3.6 and later climbed to $3.7 million, unlocking additional systems and asteroid bases. Over the last 12 hours, activity has continued to be very high. The pledge total broke $3.9 million earlier today and is rapidly approaching $4 million. Hitting the $3.8 million stretch goal unlocked another star system, Tal, and a bonus ship, the Aegis Retaliator heavy bomber. Familiarize yourself with the Retaliator over at RSI. 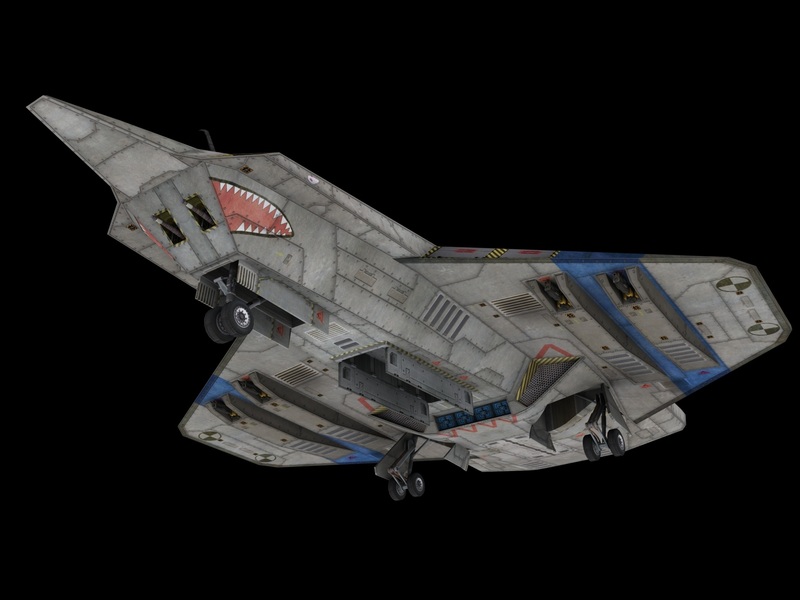 The Retaliator is the United Earth Empire’s premiere, if aging, jump-capable heavy bomber. Massive formations of these spacecraft running long-range strike missions is not an uncommon site around the fringes of the empire. 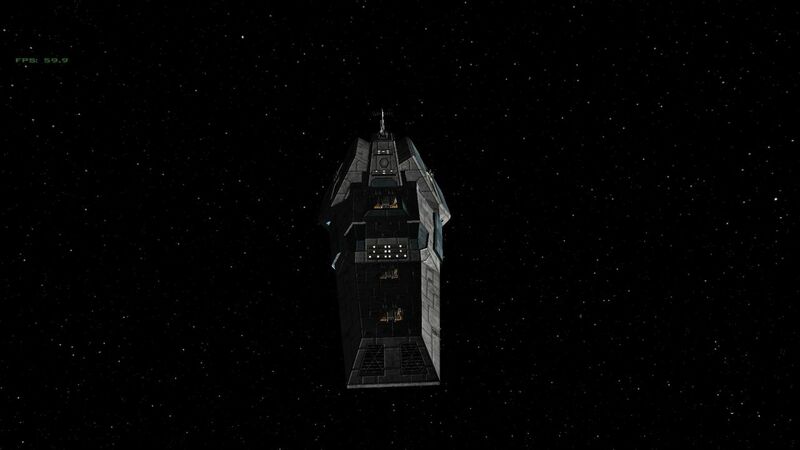 With a distinctive elongated silhouette that is dotted with turrets and carrying a massive bomb load, the Retaliator is an effective symbol of Imperial might. The Geggdon System was unveiled earlier today when the pledge total crossed $3.9 million. Along with the system update, RSI is asking fans which design they prefer for the Freelancer ship. Be sure to look the designs over and cast your vote! Supporters over at Kickstarter just met another stretch goal and fans can now read up on the Origin M50. It's an interceptor/racer model that is sure to turn heads. RSI is also promising a special gift to the person who pushes the pledge total over $4 million. 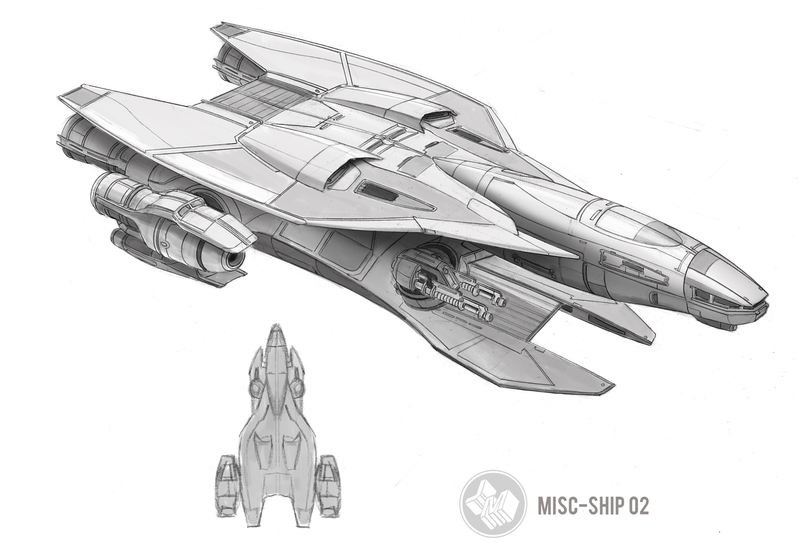 Now it’s time for the march to $4 million… and we’re offering a great prize to the person who crosses the line for us: Mr. or Mrs. $4 Million will get signed Constellation concept art, a free upgrade to the next pledge tier and the FIRST ORIGIN M50 Interceptor off the assembly line in the finished game! IGN has posted a story with Chris Roberts and Lead Conceptual Artist Ryan Church revealing 16 new images of the Constellation. Wingnuts can read the full story here. 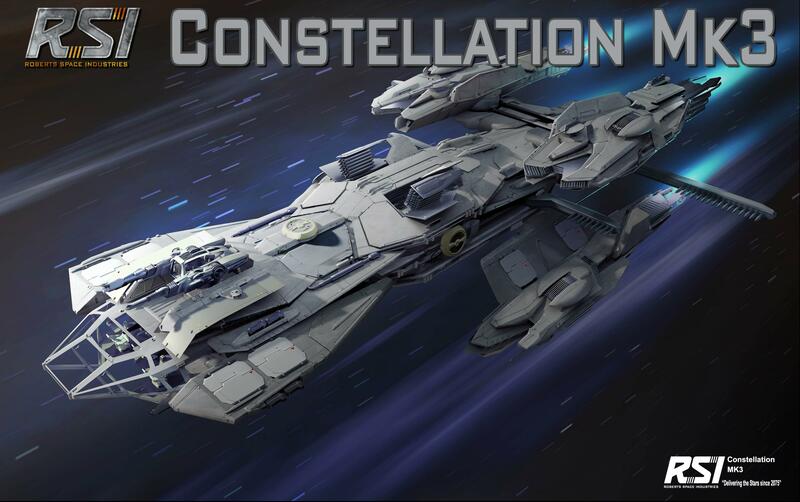 The article talks about the motivation for designing the Constellation and where some of the inspiration came from. 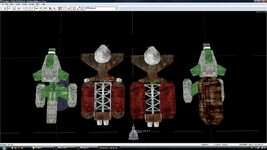 The design brief for the Constellation was that it has a crew of three, is heavily armed and has an 'iconic' shape. That's tough to do! But I think we've succeeded- it has a very aggressive shape in attack/landing mode and can configure itself to a more benign looking cruise mode. 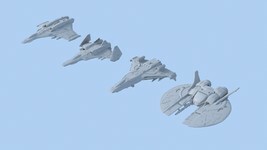 At every stage while building it and figuring out the functionality I'm thinking about the Constellation class ship as a potential user: what would I want to fly? What would I want to be seen in? 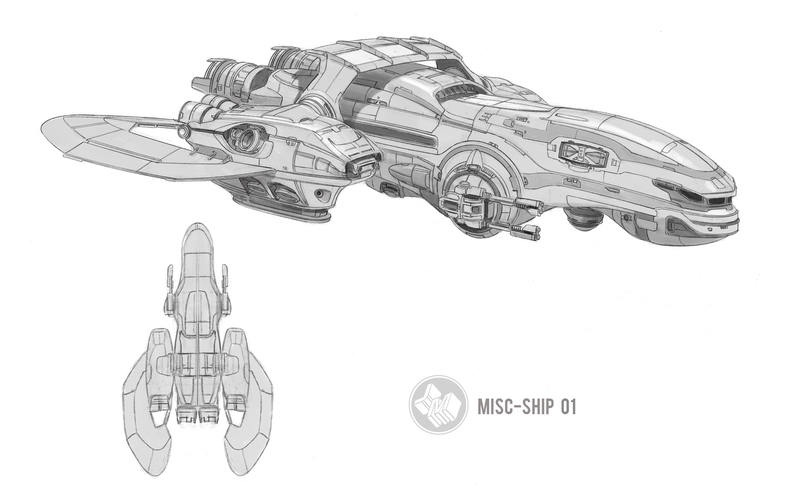 These questions resulted in not only the look of the ship but the layout of the interior and a lot of the functionality like the way the weapons can retract and change the silhouette of the ship. The full listing of images can be viewed here. 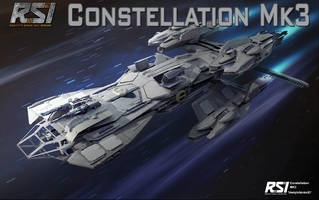 The RSI site also has an update about the Constellation that wingnuts can read here. 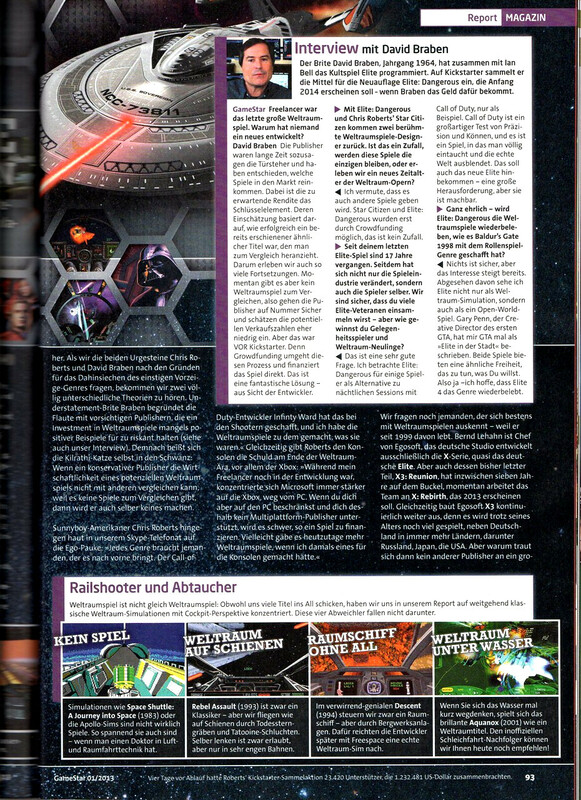 Yesterday, RSI ran a piece introducing Dave Haddock to fans. He talks about his role at Cloud Imperium and writing the fiction updates that have been running on the site. 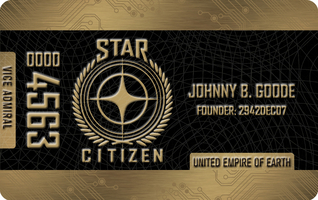 Donations have continued to pour into the Star Citizen site. 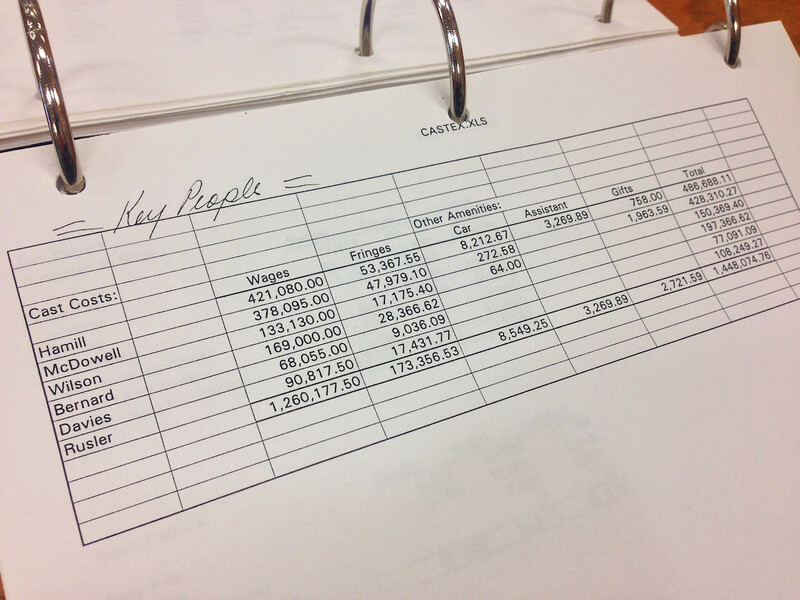 (At the time of this update the total had just crossed $3.7 million.) The $3.5 million stretch goal was hit yesterday unlocking the 45th star system, cockpit customization and a ship-to-ship boarding mechanic that players can use. Earlier today, the total hit $3.6 million unlocking another system. The Ellis System is home to a race known as the "Murray Cup" along with several other points of interest. Along with Ellis, the "Vice Admiral" Citizens Card was also unveiled. Pledge account issues are also believed to be fully resolved. Not to stop there, Kickstarter backers also reached another goal. Asteroid bases will not be part of the Star Citizen universe. Judging from the description, someone certainly thought of the bar rumor from Privateer. Finding the bases won't be easy as they won't appear on any navigation charts. Better make sure your Exploratory Services contract is up-to-date! Check out the write up here. The asteroid bases will take on two forms: the first is active smugglers bases with trading and the seediest bars in the galaxy offering some of the most dangerous–and lucrative–missions outside the law. The second is secret supply depots that you can discover, raid and contest yourself. Their locations won’t be on any map, the stuff of legend and hearsay. You’ll learn about them at seedy mining bars or through tireless exploratory scanning of asteroid bases or even by outfitting your ship to stealthily follow successful smugglers. The buzz from the IGN post above also pushed the pledge total over $3.7 million. This unlocked the Cathcart System. 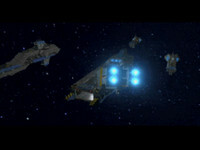 Cathcart is described as a "galatic junkyard" and "pirate system". But also a place where citizens can get a deal on upgrades for your ship. Cathcart’s largest “world” is called Spider, a sprawling mass of abandoned UEE warships spiraling in ever-increasing mated tendrils around an ancient colony ship’s massive hull. 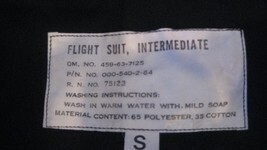 Visitors are encouraged to keep their suits on during their stay, as the shoddy construction of the inhabited areas often gives out. Still, it’s a great place to pick up a bargain if you aren’t picky about what century your ship upgrades came from. 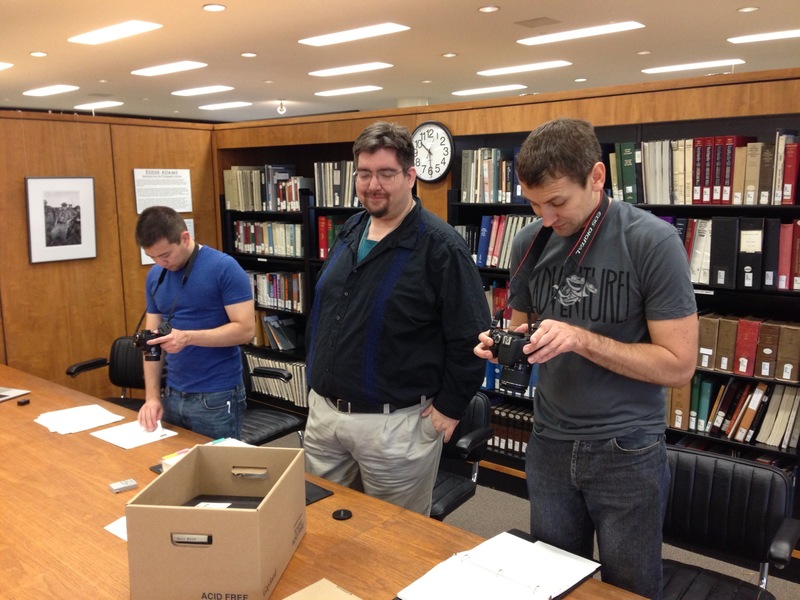 As you may have read in the news last month, several CIC staff members recently made it back to the Unviersity of Texas video game document archive. 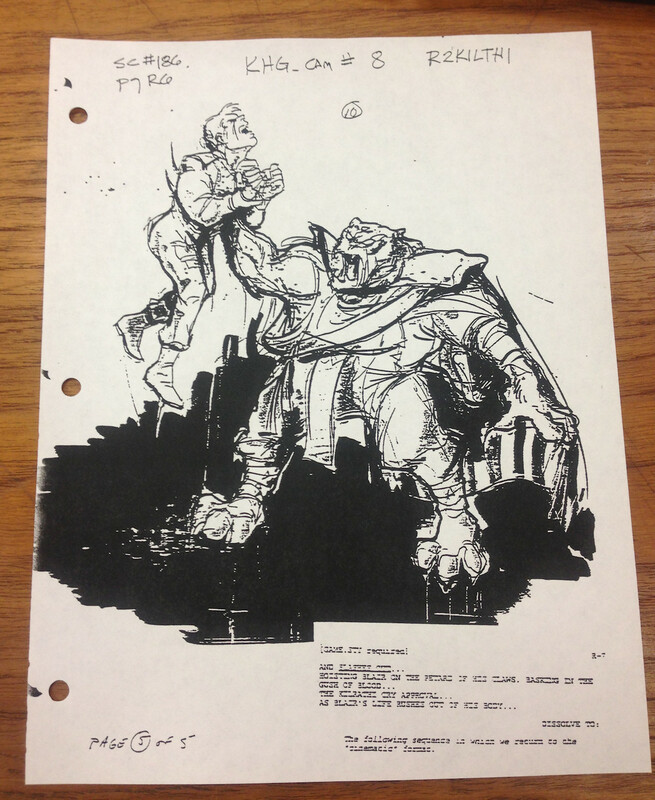 In all, we got some 5,500 additional document scans from the David Downing Collection. While we haven't had time to sort through it all yet, here's several shots to whet Wingnuts' appetites. 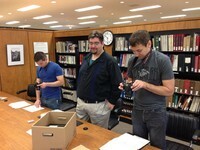 The first image shows me (ChrisReid), LOAF and Pix hard at work photographing files. 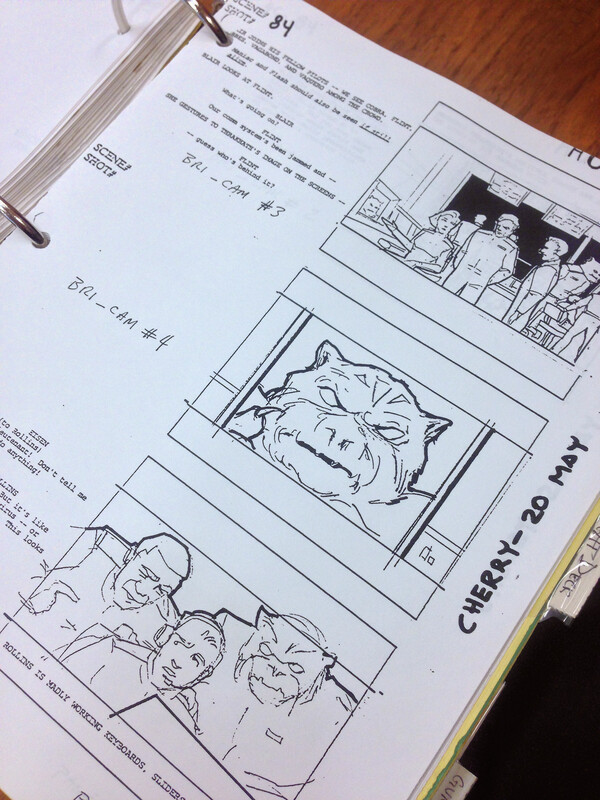 It's followed by a storyboard from Wing Commander 3. 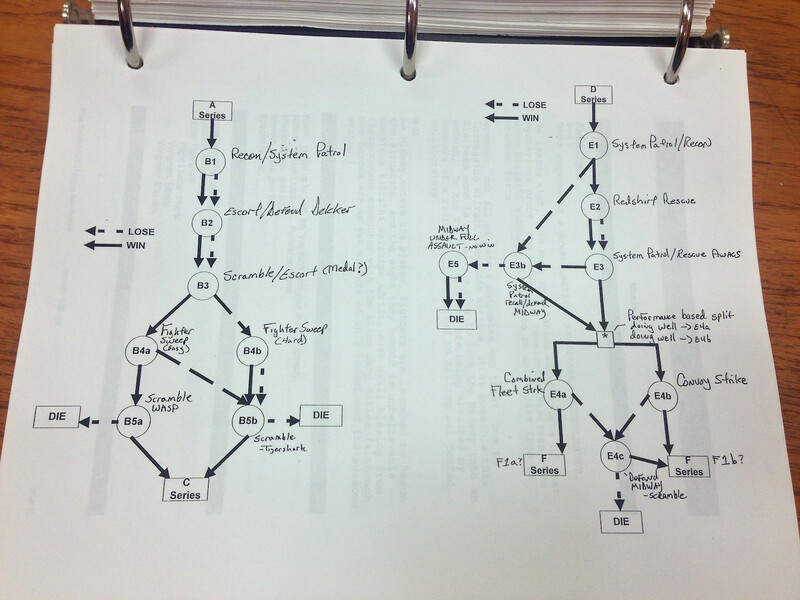 Then there's a cool mission flow chart from Wing Commander Prophecy. The next sketches are of the Kilrathi Emperor and Prince Thrakhath, and then there's some financial stats from Wing Commander 4. Finally, there's a very interesting summary for a concept that didn't make it into Prophecy. Originally, the Shrike bomber's forward section was an ejectable "sub-light fighter" that could be piloted in the event of catastrophic damage. Very cool! 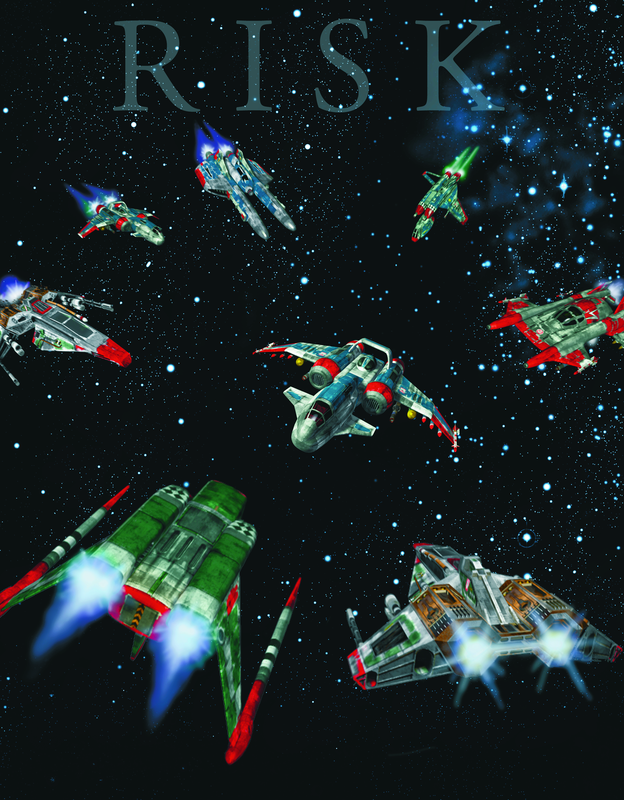 Wing Commander actor Tom Wilson has released a new book! 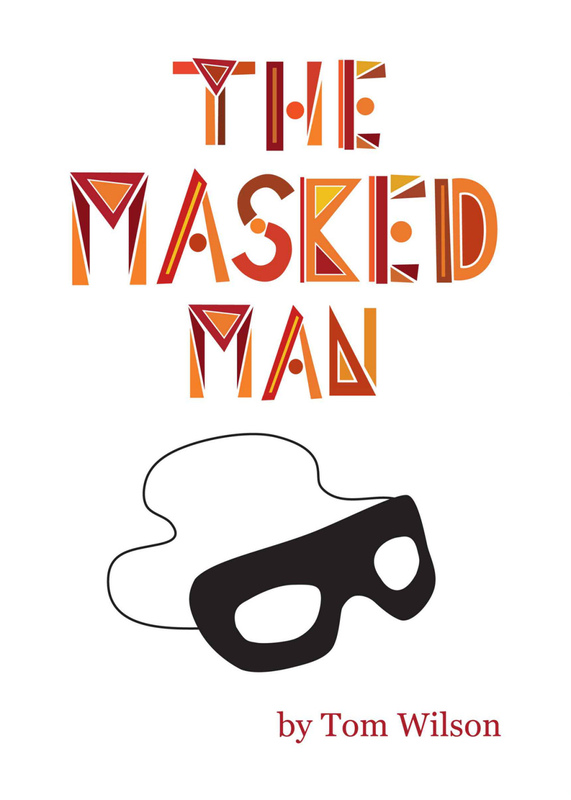 The Masked Man: A Memoir And Fantasy Of Hollywood is now available for Kindle and iBooks for around $6-7. The reviews have been stellar - it sounds like this is the next best thing to ME: The Life and Battles of Maniac Marshall! Tom Wilson, the actor, comedian, and writer best known for playing "Biff" in the classic movie "Back To The Future," goes on an unplanned adventure after meeting fellow actor Clayton Moore, the man who played The Lone Ranger on T.V., experienced the pitfalls of pop celebrity, and most notably, died over a decade ago. In stories of the past that careen from Ethel Merman on Broadway to John Belushi on his last night on earth, to fantastic tales of the present, including a showdown on horseback on Steven Spielberg's driveway, two somewhat reluctant icons form a memorable bond, and a remarkable read. 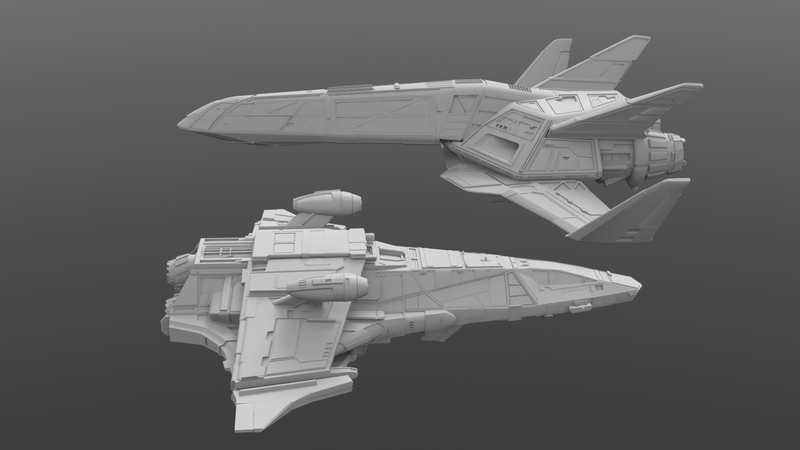 Over the last few days, RSI has released information on two of star systems that will appear in Star Citizen. The first one, the Kellog System, has several points of interest. Kellog II, or Xis, has been labeled a developing world because of the presence of a primitive species. Farther out in the system lies the QuarterDeck PrisonWorld, a facility used to house large numbers of hardened criminals. D&E dictums specify that the system is not to be tampered with and so the other planets have also been declared off-limits for mining and exploration purposes. The small army of police and guards that monitor QuarterDeck ensure that no one interferes with the planets or the species on Kellog II. Should they catch someone, they certainly don’t have to take them too far. The second system, Goss, is a binary star system near an emission nebula. 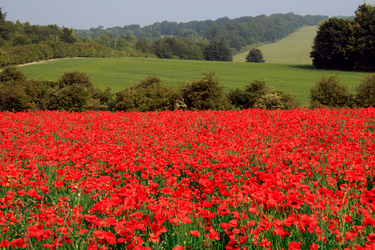 The visual beauty of the region makes it an attractive tourist destination. However, the system also has a dark side. The gorgeous nebula is also used as cover for deep space pirates. They have established multiple way stations within the nebula, but avoid interfering with the tourism trade. Chris Roberts' Star Citizen campaign has entered its final week, and he's published a new video to drive hard towards the end. Check out his Wing Commander hat, shirt and jacket! The project's tally so far is now past $3.3 million, which already makes it one of the most heavily supported crowdfunding projects ever. Numbers currently break down between $2.2M at RSI and $1.1M via Kickstarter. Chris is aiming to Kickstart $1.5M and break $4M total by Monday, November 19. The project has a real shot at making it! At each $100,000 interval, information on a new star system is also released. 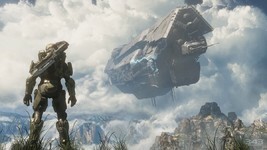 A new video on the Squadron 42 artificial intelligence and game engine has also been posted. Much of the effects are still very preliminary, but it's already looking quite good, and the point of the clip is to show off basic ship interaction. Check it out here. 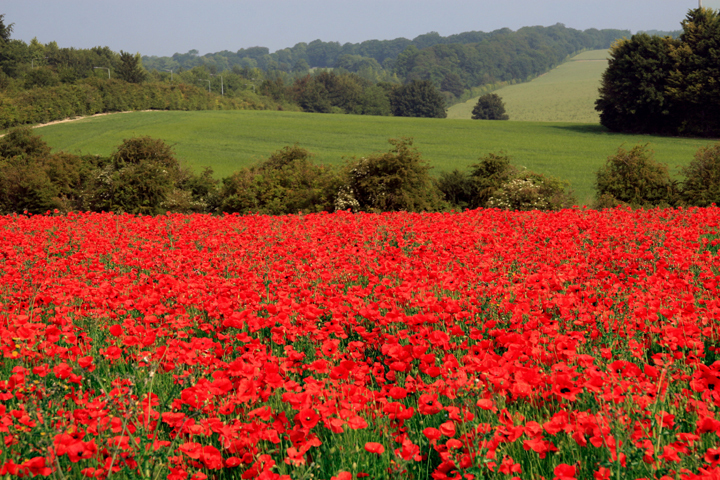 On this November 11, 2012, the Wing Commander Combat Information Center would like to extend our sincere thanks to all the Wingnut veterans. We are grateful for your service and sacrifices, and wish all of you the best in your tours of duty and hope for your safe return. Over at RSI, Chris Roberts has a new post up where he discusses how he plans on Star Citizen's persistent universe to function. After talking about his motivations for creating the world we will see in Star Citizen, Roberts goes on to give examples of how things will work in the universe and how players will interact with it. One of my goals with Star Citizen was to create a huge open world that you could adventure in solo, with your friends, mingling with NPCs and other real people. The key to all this is to allow player choice – you want to play alone you can, want your friends to join you in co-op we allow that and if you want to be challenged by other real players you can do that. The special part is that it can all happen in the same holistic universe. I hope this helps in terms of understanding how we’re balancing the aspects of multiplayer as well as making the game fun. Wing Commander 3 star mechanic Ginger Lynn Allen has been periodically stopping by the CIC Forums to answer fans' questions. She was also recently able to find her old tech's uniform and has posted a few pictures to show it off! Read up on a recap of her Q&A to date here or ask something else at the forums for her next visit! I've been going through my closet and found a bunch of my WC things so thought I'd post a few photos. Amazing what all I still have! Hope you like them. 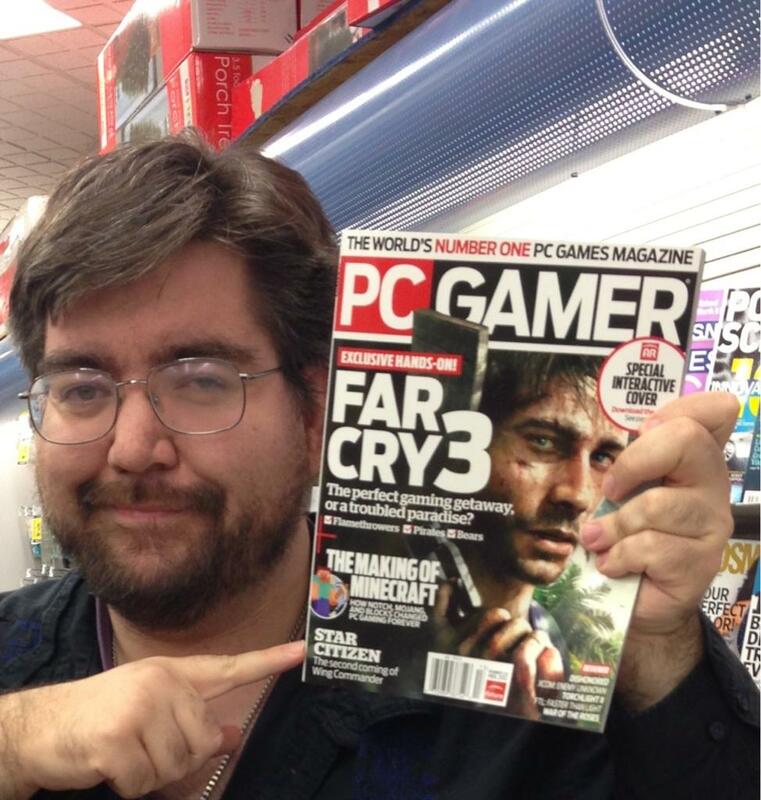 I worked very hard on this game, and just love that so many others truly enjoyed it as much as I enjoyed making it. It was an absolute blast. Wish I could do it again! Here's a random assortment of new pics from the Last Line of Defense mod. 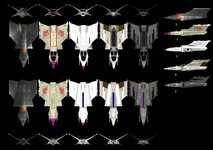 These show off a shuttle joining up with a fleet, the game's Confed destroyer, a Bearcat concept fighter and a funeral scene. 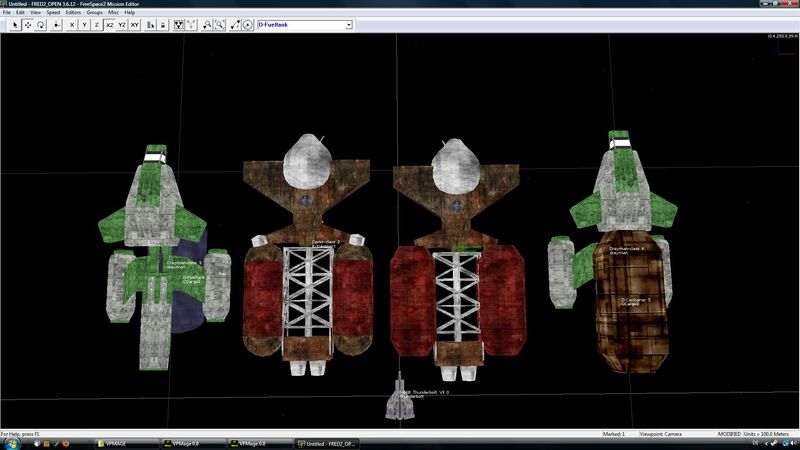 The fighter model was made by Scooby and the coffin by FekLeyrTarg. Last Line of Defense will take place in the Engima Sector during WC3. It will be shorter than some of the recently released major fan projects so that it can be completed in a reasonable timeframe. Silent Hunter spotted a clever video that documents the history of PC games "from the earliest text-based adventures to the latest modern shooters." It uses only game audio to form the soundtrack, and Wing Commander makes several appearances at 1:03, 1:10 and 1:30. The sudden appearance of WC3's live actor FMV is almost jarring in the midst of other games from the early '90s! 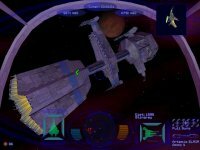 Plywood Fiend is looking into creating a Wing Commander audio series. He's building on his extensive fan fiction, music video and episode review experience to take fan storytelling to a new level with volunteer voice actors. Interested Wingnuts can record a handful of audition lines if they'd like to help the project. 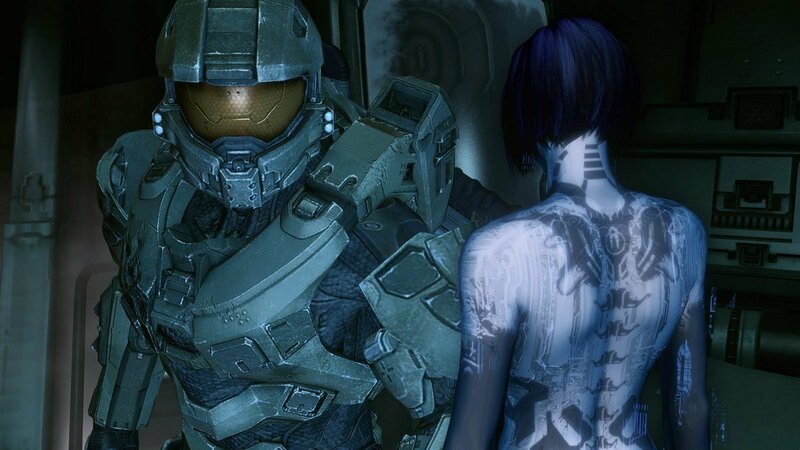 Voice acting has been a popular pastime for some fans, and chances to pair it with a successful game mod are few and far between, so this could be a neat opportunity. Visit the CIC Forums for more information or to lend a hand. Chris Roberts' pledge drive continues to reach new heights. His new game has earned almost $1 million via Kickstarter, and the total Star Citizen tally should reach $3 million tomorrow, which green lights the "Privateer" portion of the game. There are also some clever new ways that the Cloud Imperium team is seeking new contributions. New $5 ship skins are available as upgrades, and a referral section has been added to each person's page at the Roberts Space Industries website. A huge contest has also just kicked off that awards the person with the most referrals an amazing desktop computer, Oculus Rift, HOTAS setup and in-game corvette ship. There are also random and daily drawings among the pool of people who've referred others. You can find out more information on the sponsor referral program here. 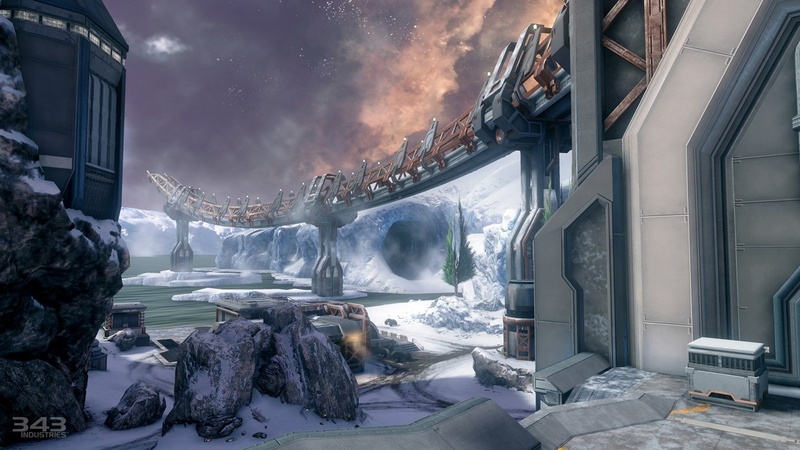 One of the biggest games of the year, Halo 4, was released for the XBox 360 today. Both its competitive multiplayer and cinematic campaign storyline have gotten rave reviews, and there's also substantial buzz about the series' new feature, Spartan Ops. This new mode features a cooperative multiplayer side story that will be released in weekly five-mission installments over ten weeks. 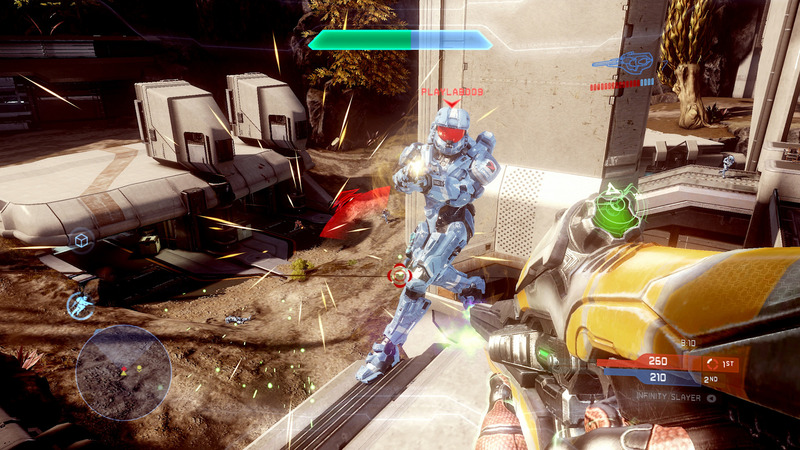 The game is graphically fantastic too! 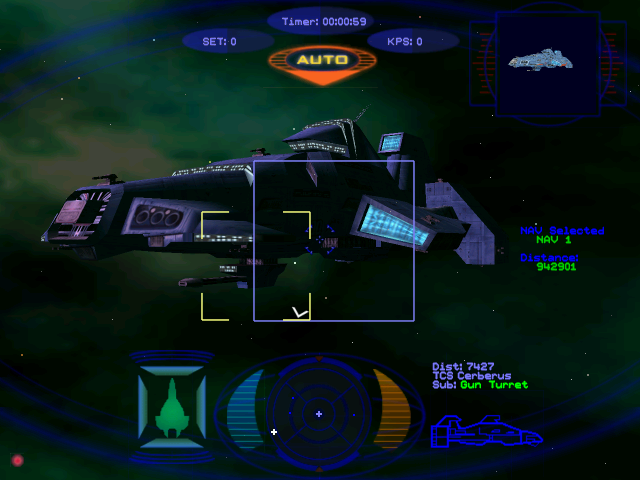 The Wing Commander parallel is Secret Ops, which pioneered the concept of episodic games in 1998. The WCSO campaign spanned 56 missions over seven weeks and followed after the events of Wing Commander Prophecy. Lance Casey and company transferred aboard the TCS Cerberus to engage in a series of missions that stemmed the Nephilim tide closer to Earth. Wingnuts who were present during the game's original run will usually recall the long night of downloading (as almost all fans still had dialup internet!) in order to acquire the 112 megabyte starter package, but the game can be yours in just minutes now! Everything you need, including the serial key generator used during installation and the fiction files that go along with each episode, is available below. 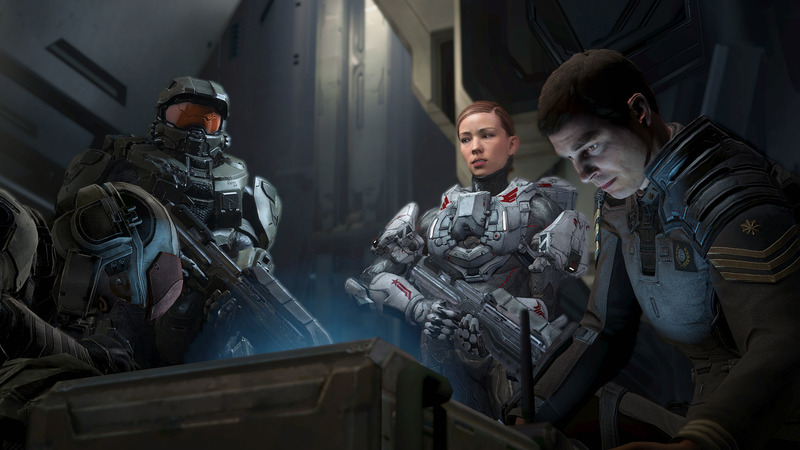 The fiction link also includes the awesome Secret Ops teaser and trailers. 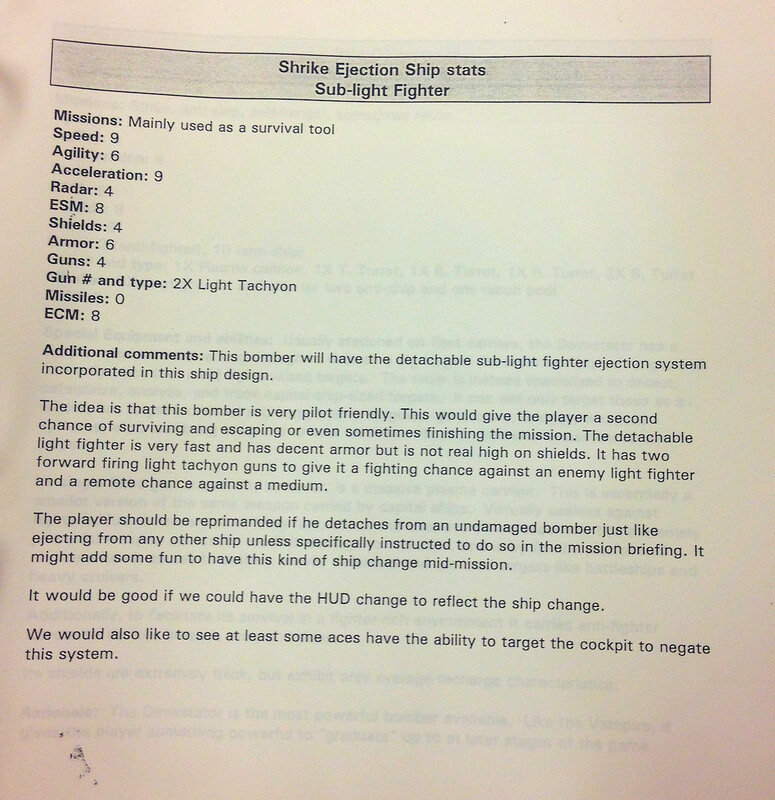 Wingnuts should also check out Shades' extensive Secret Ops Guide. It includes detailed mission walkthroughs, complete stats, game history and more! 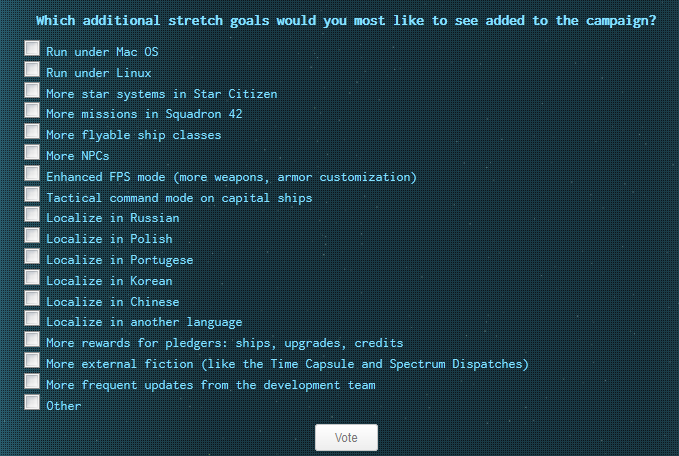 Many of our visitors are probably burned out on the subject of voting, but we've got a new front page poll that asks what everyone's favorite Privateer ship is. We've actually never run this poll before - can you believe it?! You can see the last 14 years of CIC polls here. Can everyone out there match these four cockpits to the appropriate ship? Hit the Comments link and share your trivia knowledge! 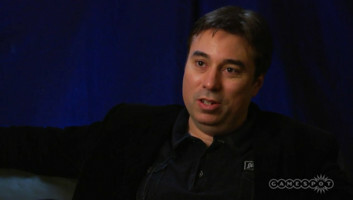 The last poll asked about fans' expectations on Chris Roberts' new game. About half the people who voted thought he was working on a new Franchise, with over a third thinking it would be a Wing Commander/Privateer. 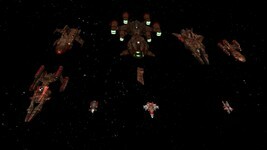 The Wing Commander From the Ashes forum RPG is looking for new players! There's recently been some member turnover, so several character slots need to be filled ASAP. You can check out the game's message board here or ask SilentHunter any questions at the CIC Forums. Help keep Gemini safe for commerce! Essentially it takes place in 2662 on board TCS Phoenix, a carrier that has been shamed and maligned in the midst of the brutal war with the Kilrathi. Will it be redeemed or destroyed? You get to create your own character and roleplay with the rest of us both in and out of the cockpit. So far we've been able to join any squadron we like. Currently the ship has a Broadsword squadron, Rapier squadron and Scimitar squadron. We are currently involved in a mission to deal with a hostile Pirate presence in the current system. Everything is very simple, and you're given a lot of opportunities to interact with and impact the story. I definitely recommend it if you've ever been into roleplaying, fanfics or just want to participate in Wing Commander in a new way. So please join up! 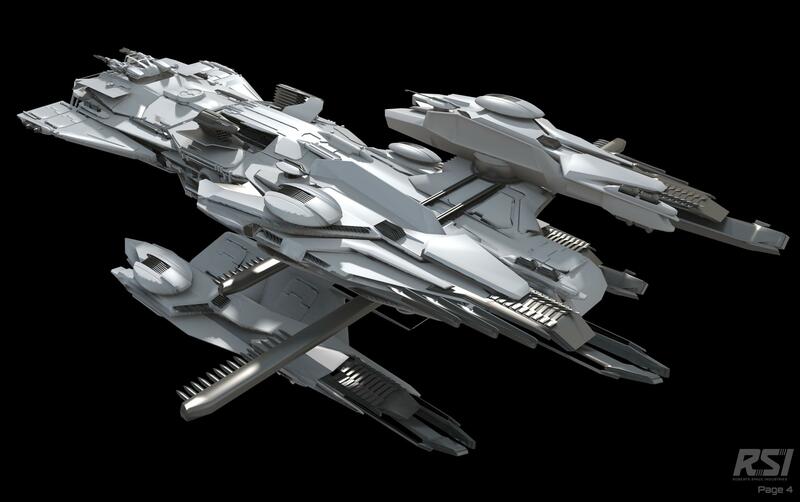 Star Citizen fundraising hit its first stretch goal at $2.5 million last week and added the Anvil Gladiator to the list of flyable ships. 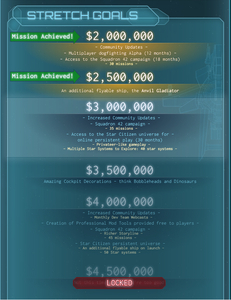 It's now almost to the next big goal at $3M: more missions, more systems and the Privateer-style persistent universe. 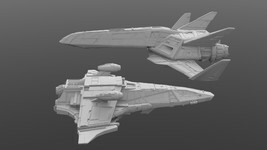 It's also just $100,000 away from a million dollars on Kickstarter, which will make a corvette class ship playable. 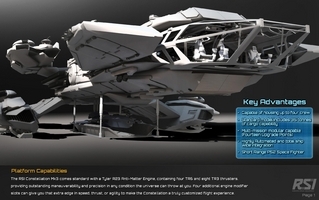 * Star Citizen will match Privateer, with 70 star systems to explore on launch. That has to get any Wingnut's attention. 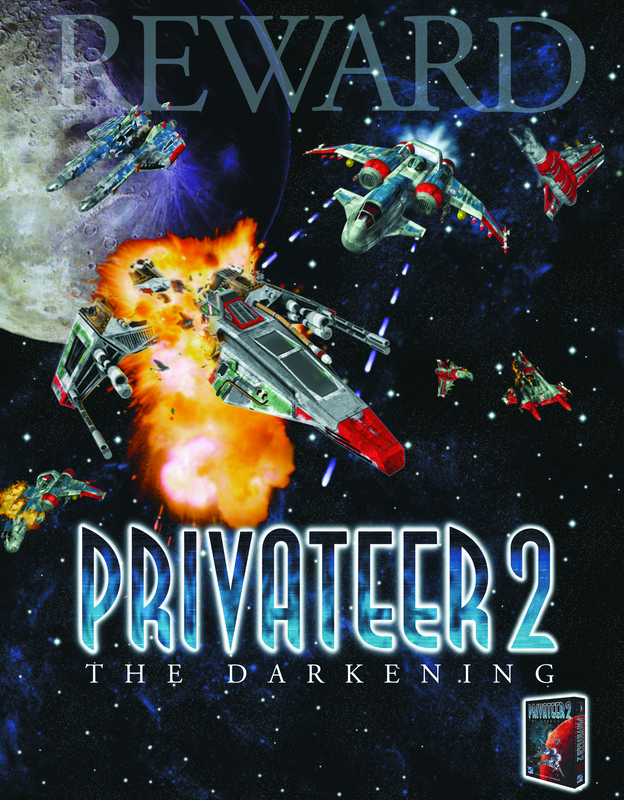 Famed author Diane Duane has posted an interesting blog entry about her time working on Privateer 2. 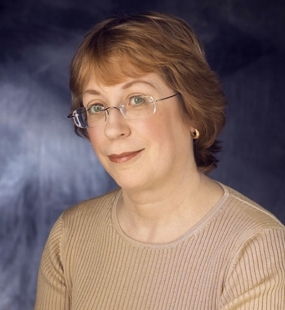 Ms. Duane wrote the story and screenplay for the game's cinematic portions, which are lauded for their unique setting and tone (and all-star cast!). The far-out foundation of the game received mixed reviews when P2 first released, but it's great to hear so many people remembering it fondly today! 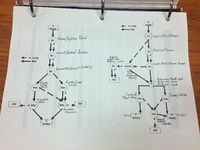 Erin Roberts at Electronic Arts brought me on board to help develop the story and do the screenplay for P2:TD in 1995, and to this date it holds the record for the largest piece of screen work I’ve ever done — more than three hundred pages of screenplay, counting all the alternate endings and side-branchings of the story. It was a very early attempt at interactive film, with healthy doses of live-action material interspersed amid the gameplay. This being the reason that until now I’ve seen so little of the filmed material: I kept screwing up the gameplay and couldn’t advance. …When we were down at Warpcon in Cork in January of this year, we ran into fellow writer Gunnar Roxen, and while chatting with him, P2:TD came up in passing. So I was delighted just now to find that Gunnar’s posted background and links to some of the cinematic material from the game to YouTube (as have various others: normally they seem to come up in the YouTube sidebar, for those who’re interested in investigating further). The teaser to the game is here and here’s a YouTube playlist of some of the filmed sections that Gunnar posted up. EA Titles On Sale At GOG This Weekend! This weekend, GOG is having a sale on its EA titles. You can get all 26 EA titles for only $62.14! Individual games are selling for $2.39. 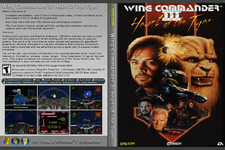 Wingnuts can pick up all four Wing Commander packages (five games) for $9.56! If you haven't picked up the GOG releases yet, this is a perfect time to do so! Yesterday, Chris Roberts again stopped by Reddit to answer more questions about Star Citizen and anything else fans asked. Chris replied to questions over the course of almost eight hours and Wing Commander came up several times. Be sure to read over his replies at the Reddit overview page. CommanderRoberts: Single player / campaign will be structured like a wing commander in that's its a progression on branching missions - win you go on the good path, bad you go down the bad path - there's usually a few opportunities to recover from a bad path before its too late. 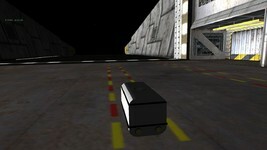 This will be playable as simple player or with your friends in drop in / drop put co-op playing wingmen. 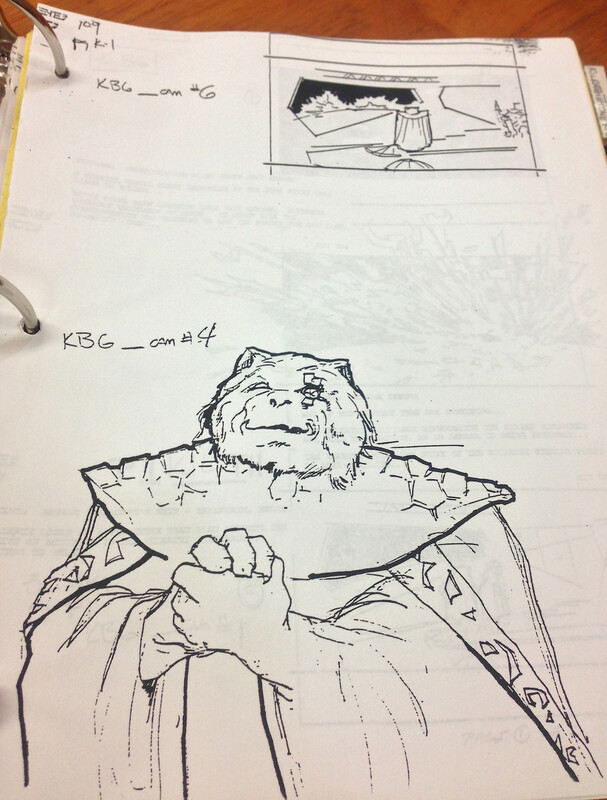 OneSourDude: Can you share any stories from the set of Wing Commander 3 and 4? The cast was full of awesome actors and I’m sure you have some great stories about them. 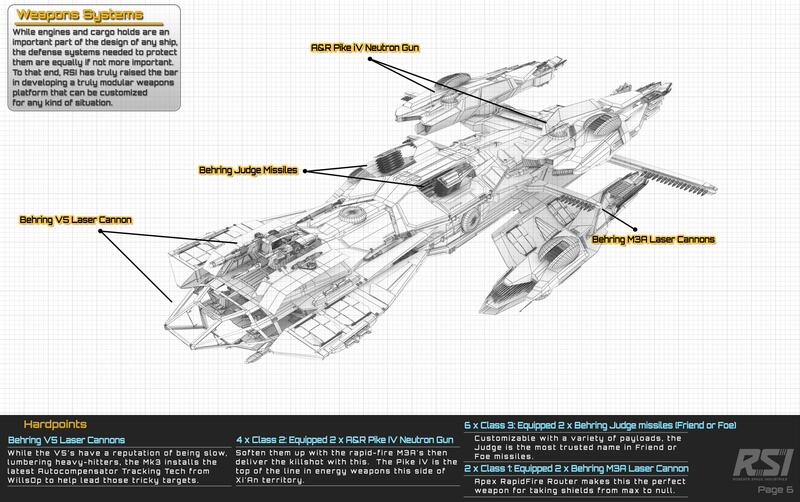 In reference to Star Citizen, what will the single player story line entail? Will it be closer to Freelancer (i.e single character exploring the galaxy) or closer to Wing Commander (ensemble cast of interesting characters)? 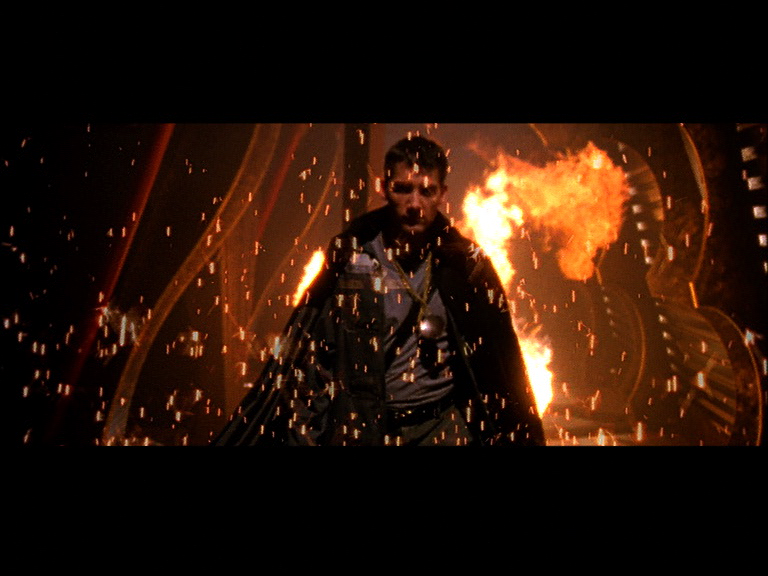 CommanderRoberts: We had a lot of fun filming the FMV scenes for WC3 , WC4 - all the actors were really great people - and people like Malcolm McDowell, John Rhys Davies, Tom Wilson and Mark Hamill had awesome tales from some making some of the biggest movies ever. A lot of it isn't really for public consumption - especially Malcolm's Caligula or Clockwork Orange stories! Malcolm did like to "punk" Mark by trying to get him to laugh when he was feeding him lines from off camera. And Tom Wilson is one seriously funny (and nice) guy! The main narrative story will be the Squadron 32 one, so it will be more in the lines of Wing Commander. Once you've finished this and are out int he Star Citizen universe the story approach is a little different. There isn't going to be one over arching story - just a lot of micro stories / mission threads spread around the galaxy that you can engage in if you like. We'll be managing the bigger universe events as the galactic puppet masters. pfelon: What are your overall thoughts on the Wing Commander movie (the Freddie Prinz Jr. one)? Were you forced to compromise too many things to get it done? I enjoyed the movie, but it didn't feel like a "true" Wing Commander movie to me. 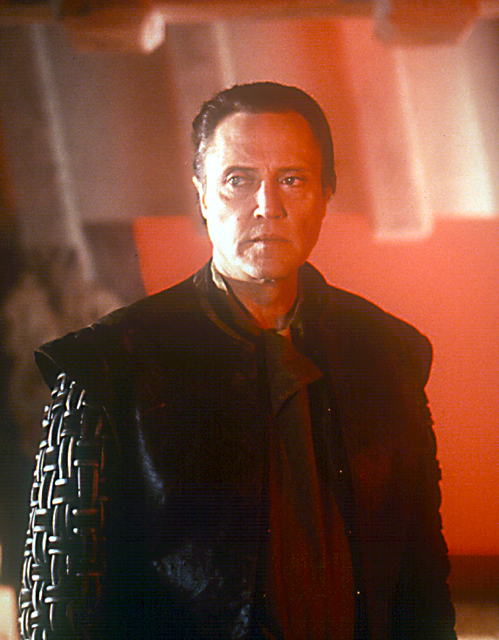 CommanderRoberts: The Wing Commander movie was not the movie I saw in my head when I developed it so it was disappointing as on my games I pretty much always manage to realize the picture in my head on the screen. I think there was a combination factors that contributed to this 1) My inexperience as a film director. I had directed live action for WC3 and WC4 but a film is a whole other level of subtly and finesse. 2) I needed a producer that could do more than just do a good deal. I needed someone to help me on the set, to tell me hey Chris I know you want to do these 10 things but we only have money to do 5 things really well. So let's pick what they are and knock them out of the park and cut the others. This is what a strong creative producer does, and its what I've tried to do for other directors I've worked with over the last 10 years. 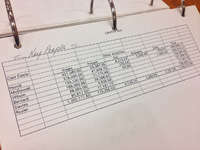 3) We had a ridiculously short pre-production timeline. The movie wasn't greenlit until December and we were in production towards the end of February - we basically had under 3 months of pre-production, which for a complicated sci-fi movie is way too short. Most films like this have 6 months, some much longer. 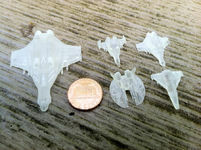 Its why the Kilrathi and a lot of other stuff ended up being cut - we didn't get to test / work them out in pre-production, so we had to rely on what we got - and a lot of it just didn't work. Originally we had more time but when Fox signed the deal to distribute the next three Star Wars films from Lucas, they insisted that we deliver before SW Ep 1 so they could release before hand. So we were given a 1998 Dec delivery date. Given the time needed for the VFX we had to move up the shoot date. 4) I gave into some of the studio's casting choices. In the same situation I would not. They were very keen to bring in all the young horror fans that were seeing movies like Scream and I know what you did Last Summer - but that really wasn't the Wing Commander audience. If I made the movie today it would be 10x better... I've learnt a lot over the last ten years and have matured as person / story teller. 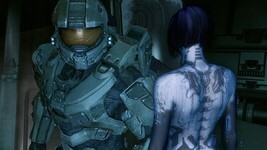 Having said that there are still some things in it that I'm quite proud of - there's some really great visual moments. But I would do a better job of the emotion and feeling if I was making it today. 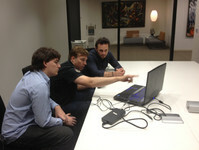 Chris Roberts Answers More Questions! Wing Commander creator Chris Roberts is once again hosting a Reddit AMA. You can ask him anything here! His new game's pledge campaign has also continued its steady march. 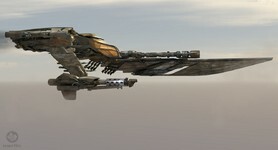 The totals passed $2.5 million yesterday, which unlocks the "Anvil Gladiator" bomber for players at launch. At the $3 million stretch goal threshold, the core Squadron 42 game will feature more missions, and the Privateer-style component of the game will be made. At $3.5M, cockpits will feature special decorations like bobbleheads. 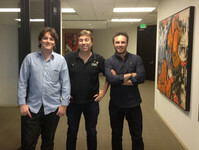 Chris Roberts' new company, Cloud Imperium Games, is filling with former Origin personnel who worked on Wing Commander! Roberts Space Industries' latest feature interviews the CIG president of production and development, Eric Peterson. 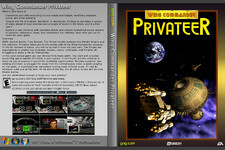 Mr. Peterson worked on Wing Commander 3, WC4, the WC Movie and an unreleased Privateer sequel. He was also a co-founder of Digital Anvil. Check out the full Q&A here. 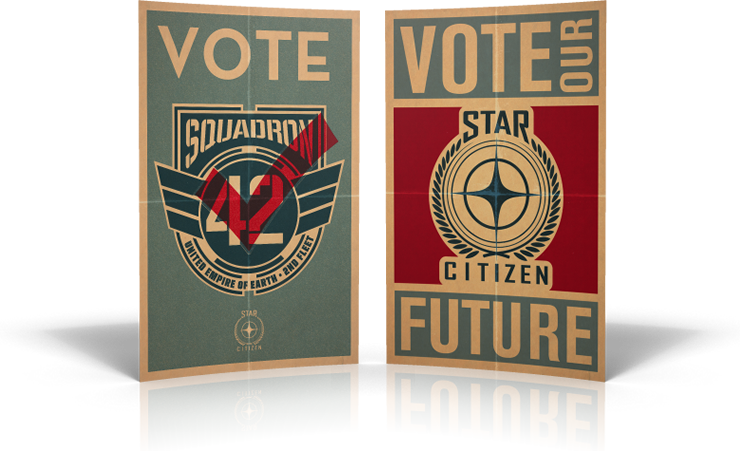 What are you most excited to see in Star Citizen/Squadron 42? The chance for the large vision that Chris and I have been talking about for more than 20 years coming to fruition, the ability to play a single player campaign and then tool around in a persistent world and make your way as you see fit. I love the idea of freedom of game play, where the player has multiple avenues to take, and it is up to them to choose the direction and live with the consequences or rewards. But, I have to say the thing I am MOST excited about, is that my two boys will get to play an excellent game in a genre that they have not really seen – the fact that my 14 and 10 year olds have not seen a Space Adventure is ridiculous – and from what they have seen already they are READY FOR ACTION ! A universe article has also been posted that reveals a new alien race - the Xi'an. 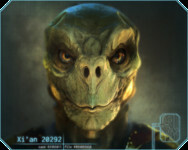 First Star Citizen alien race visual... That's actually a zBrush 3D model with a paint over, so its going to be pretty close to the in-game asset with our poly counts, especially in DX11!